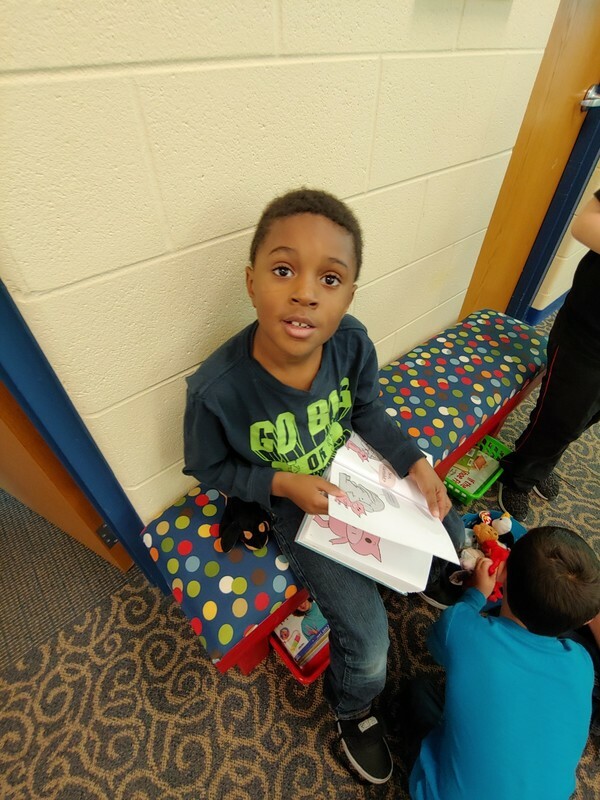 See more 1st grade photos in the 1st Grade Galler below. 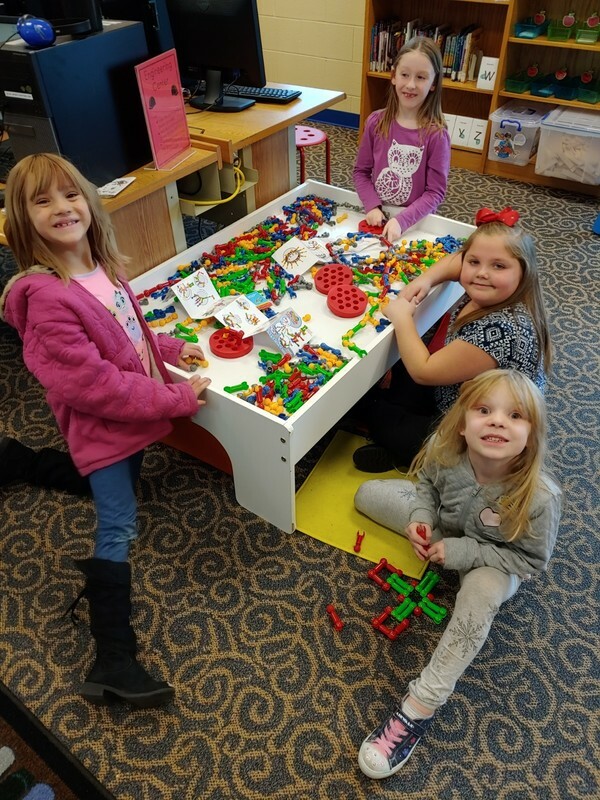 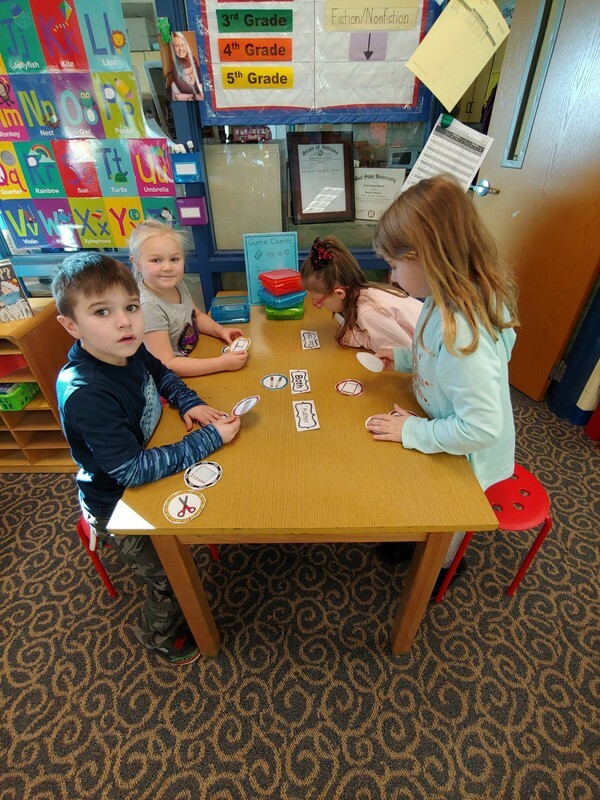 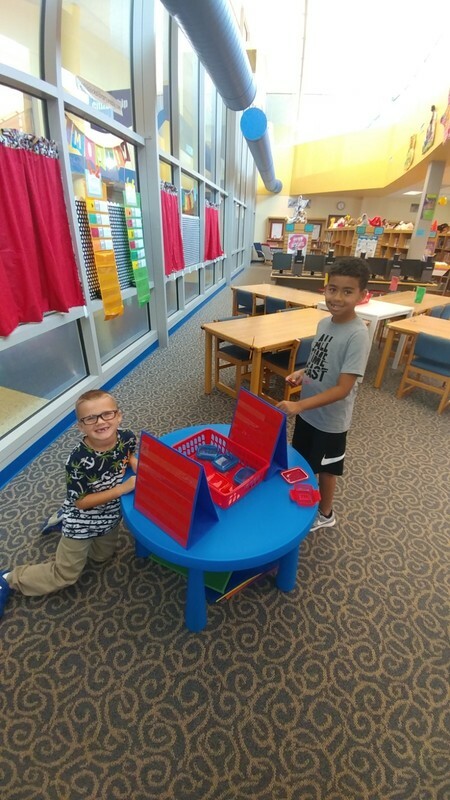 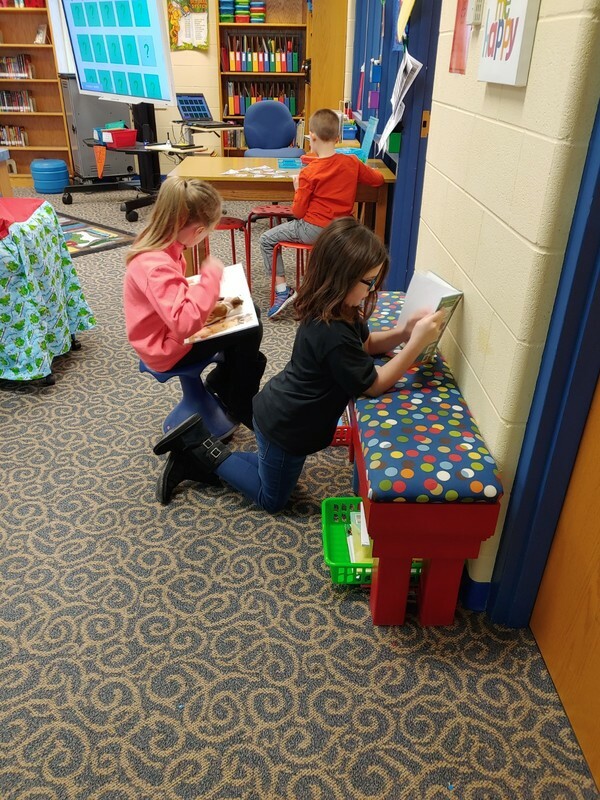 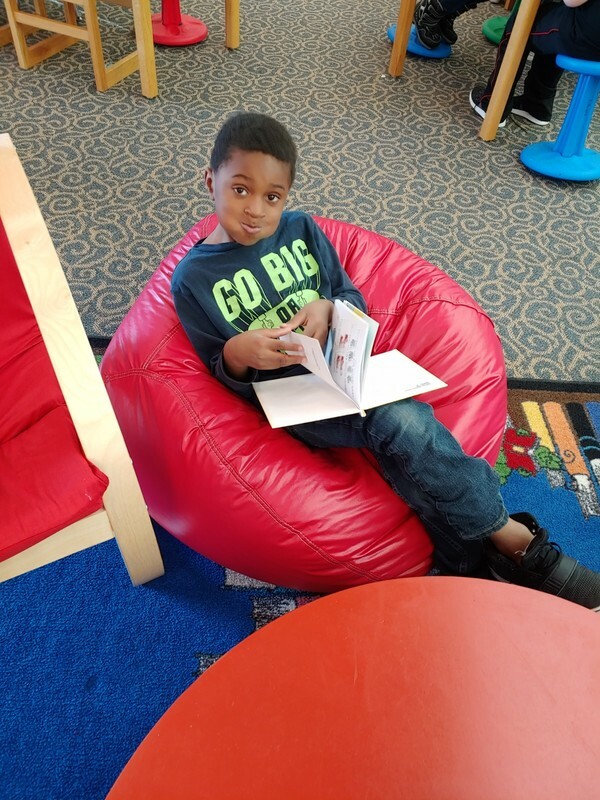 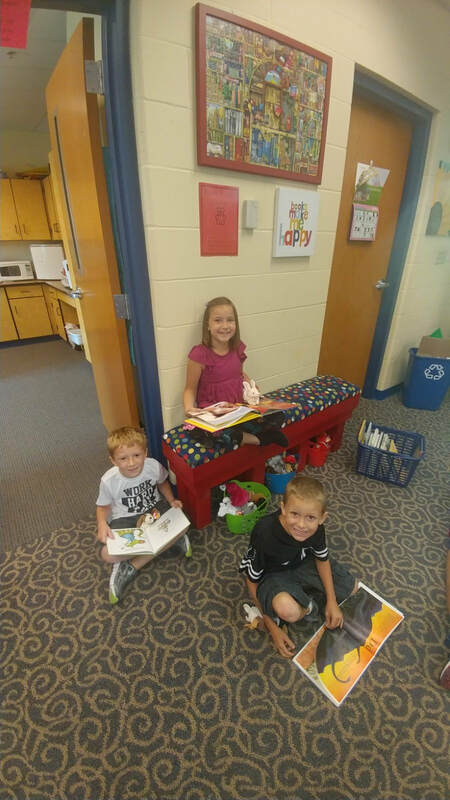 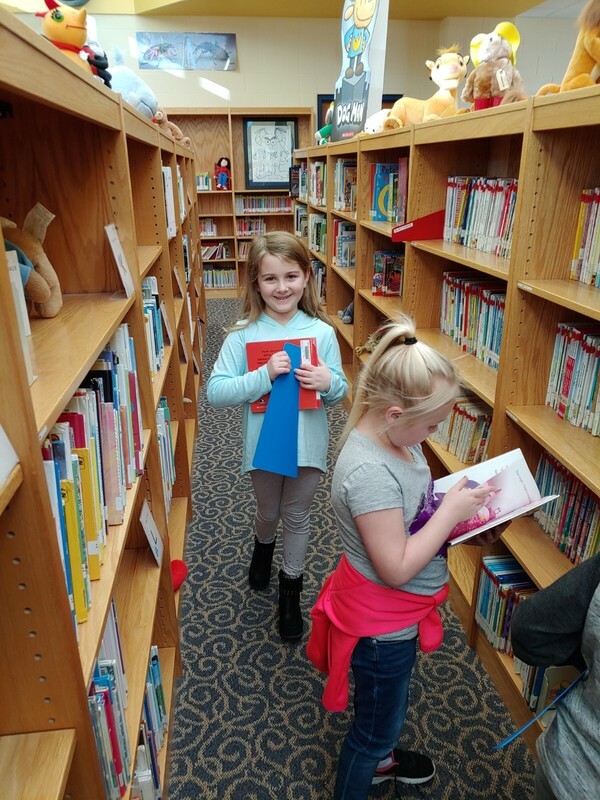 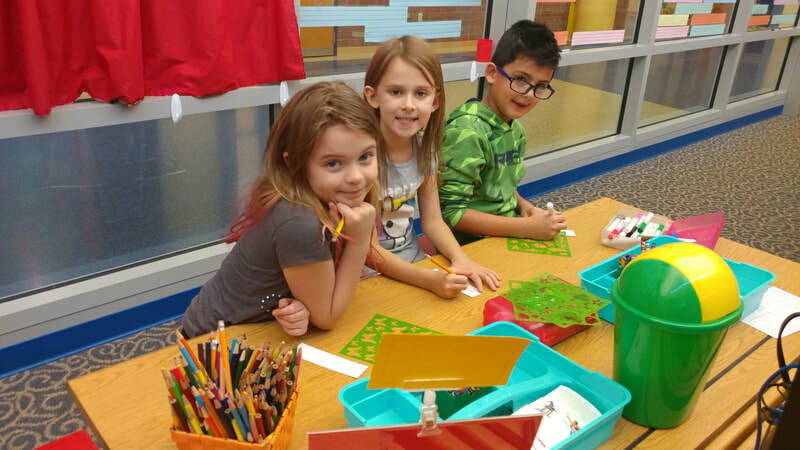 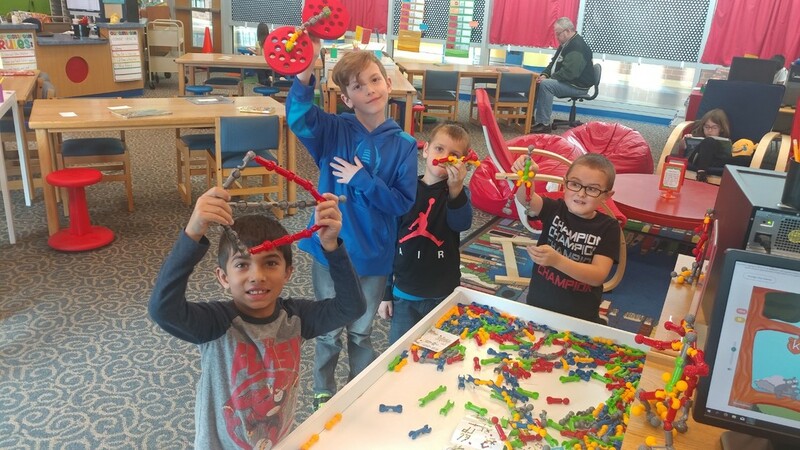 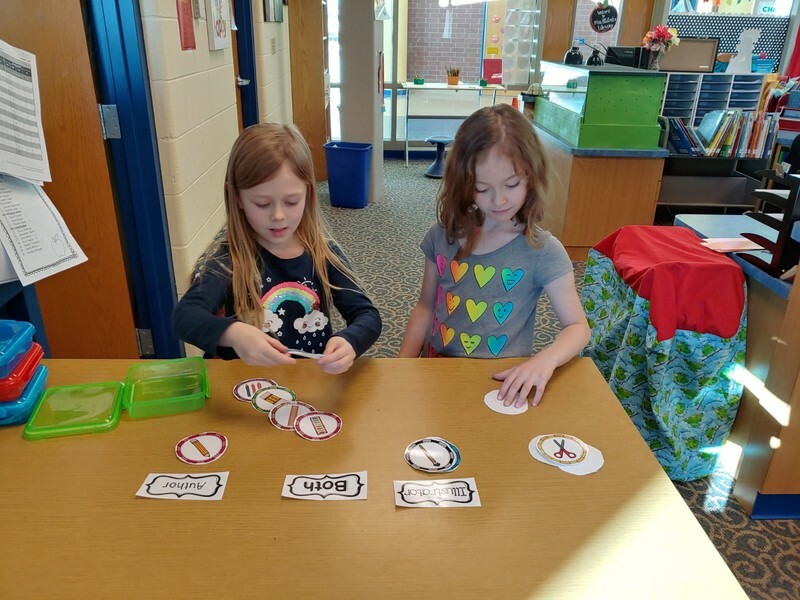 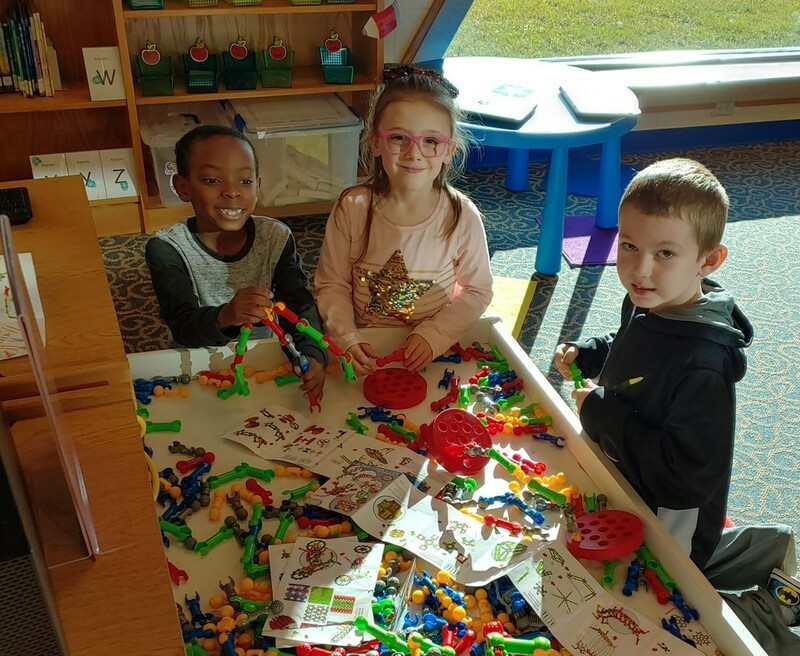 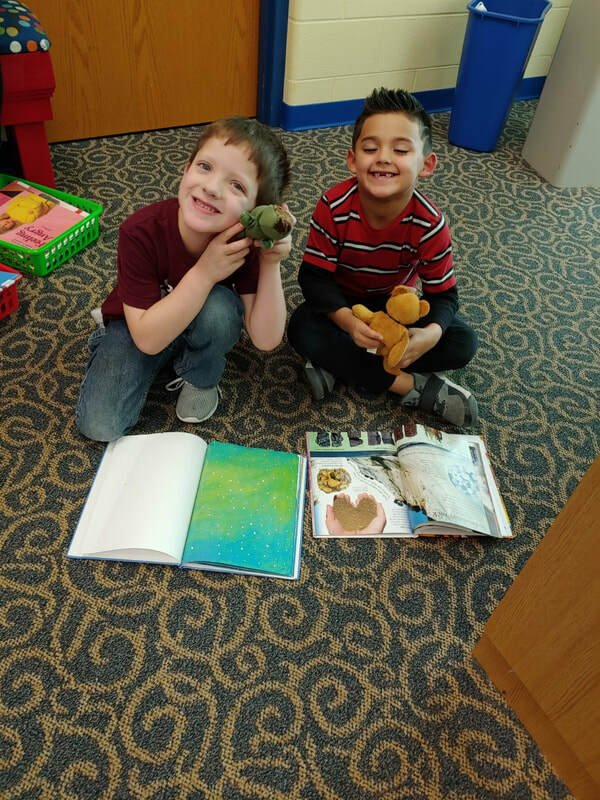 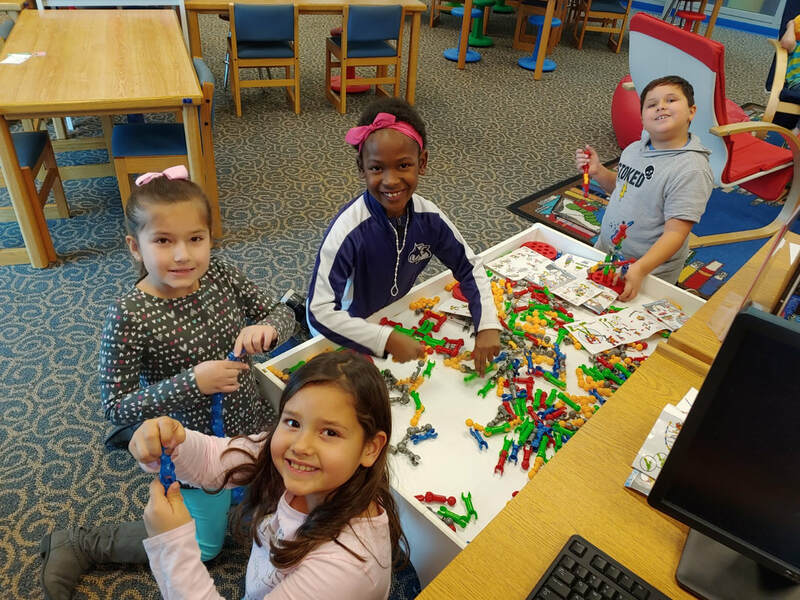 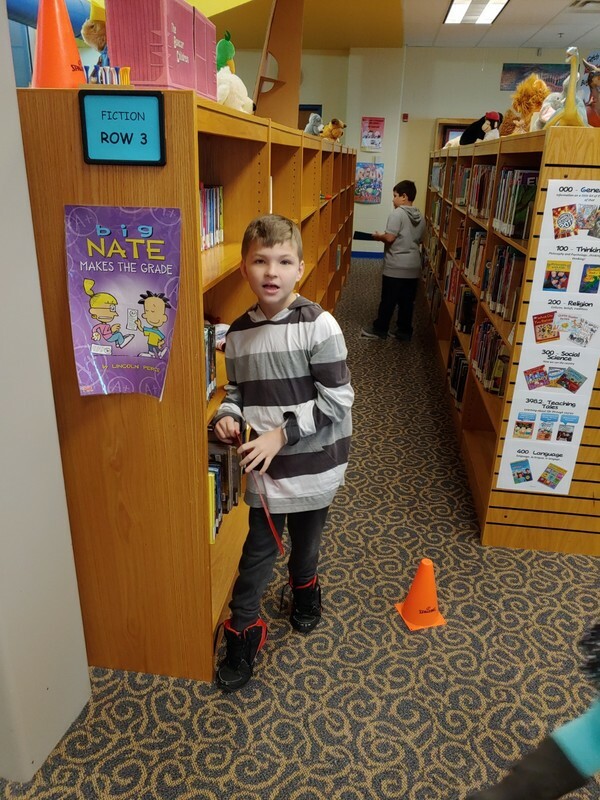 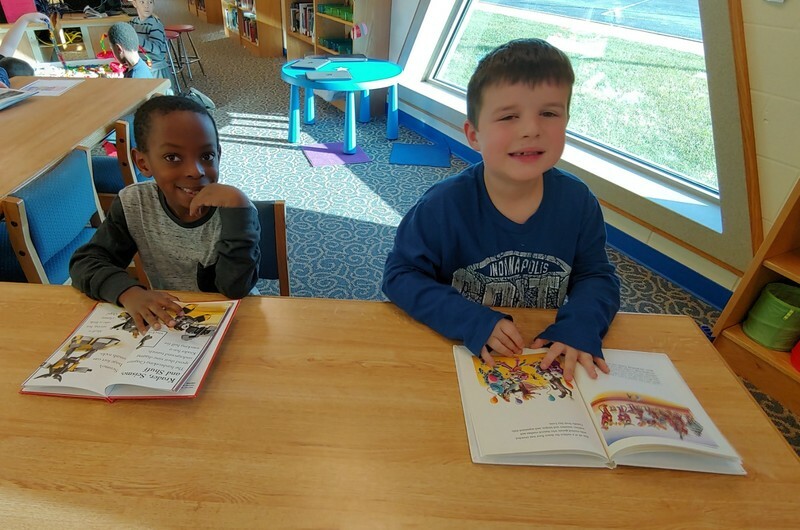 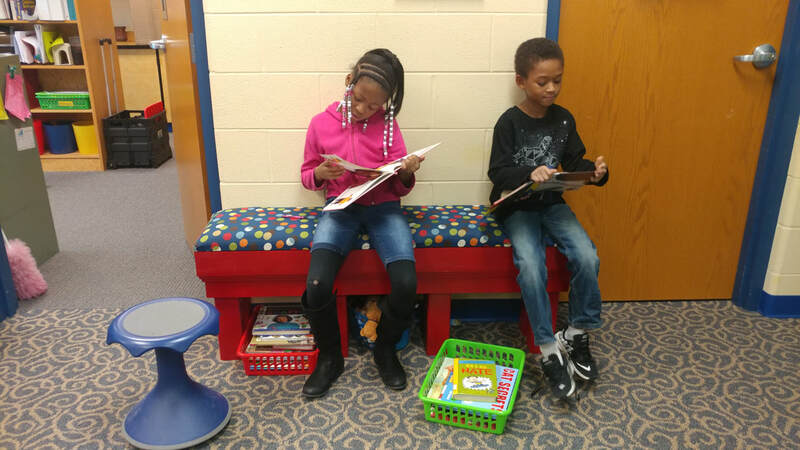 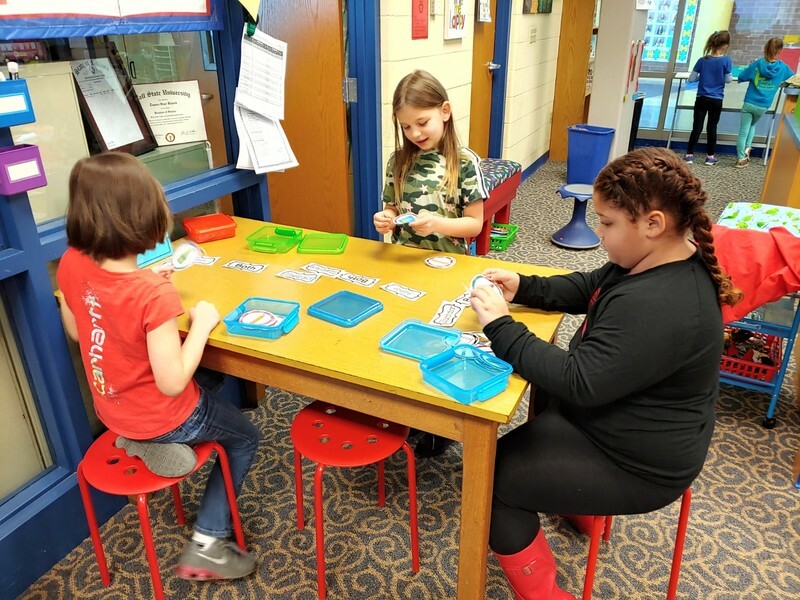 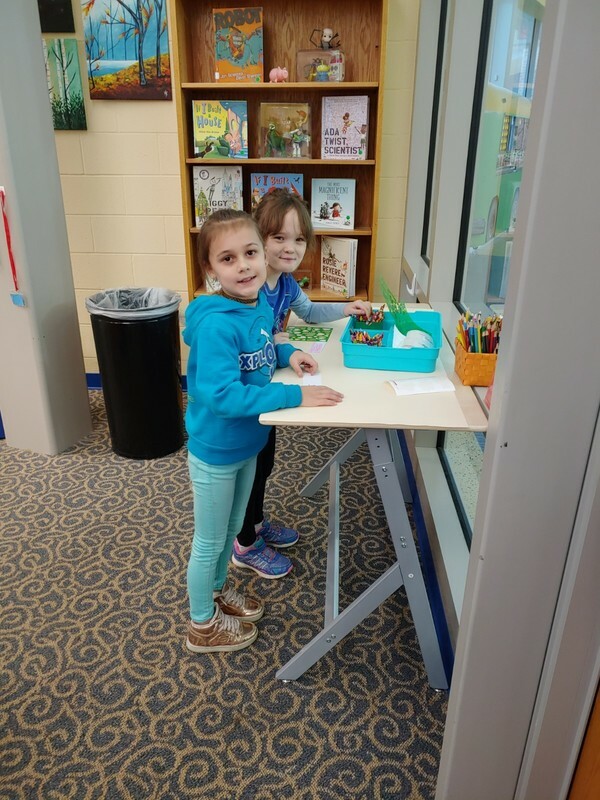 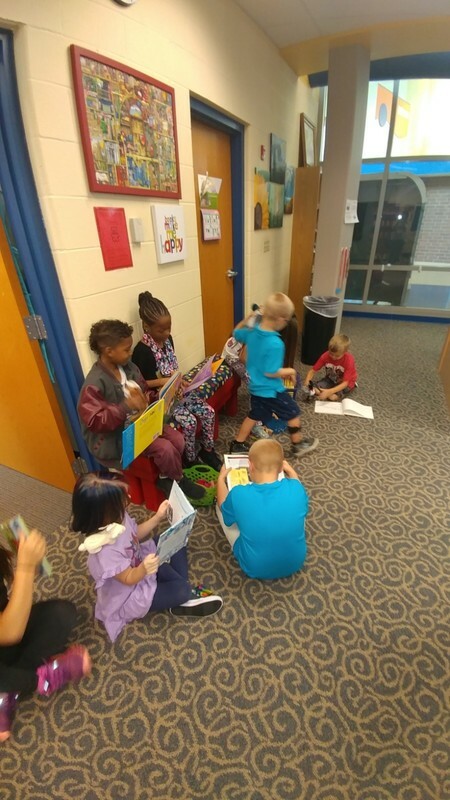 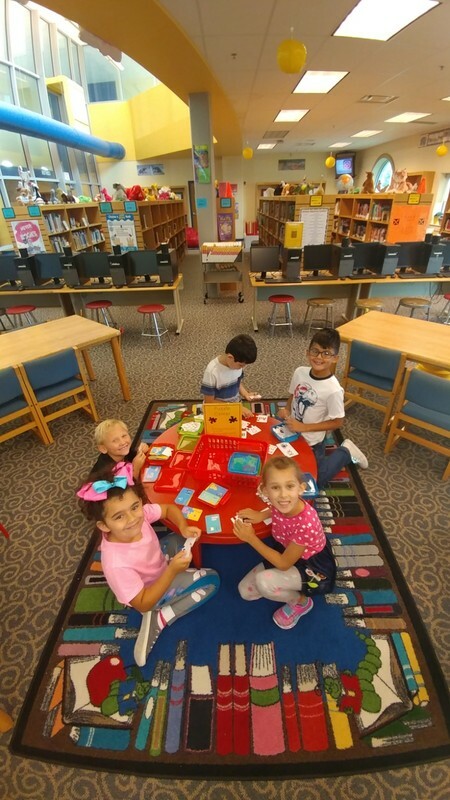 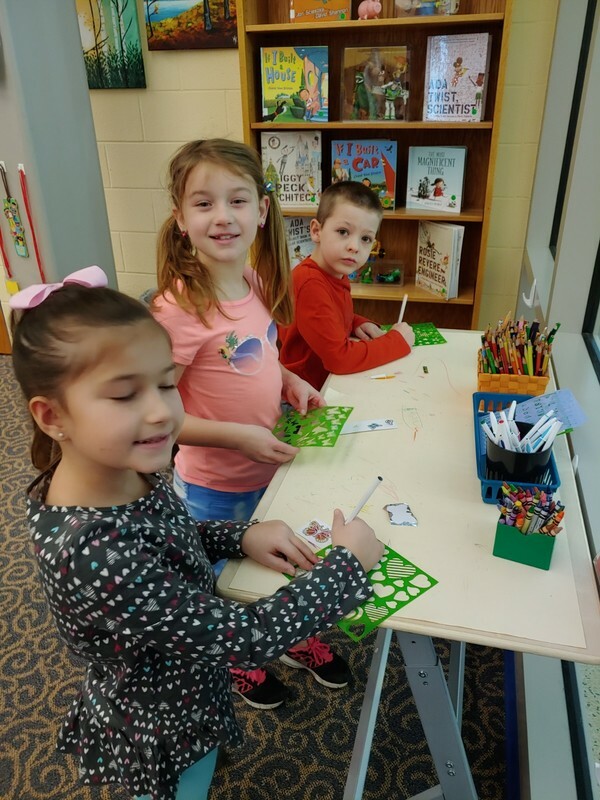 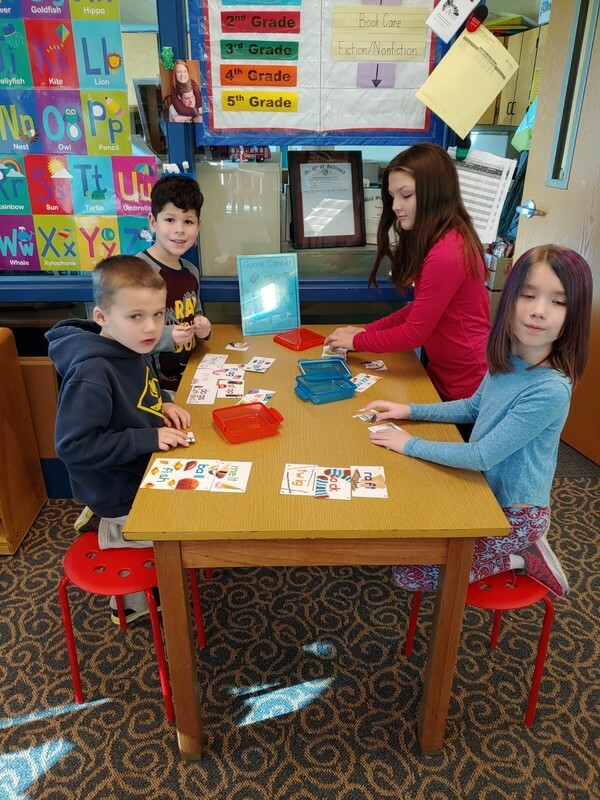 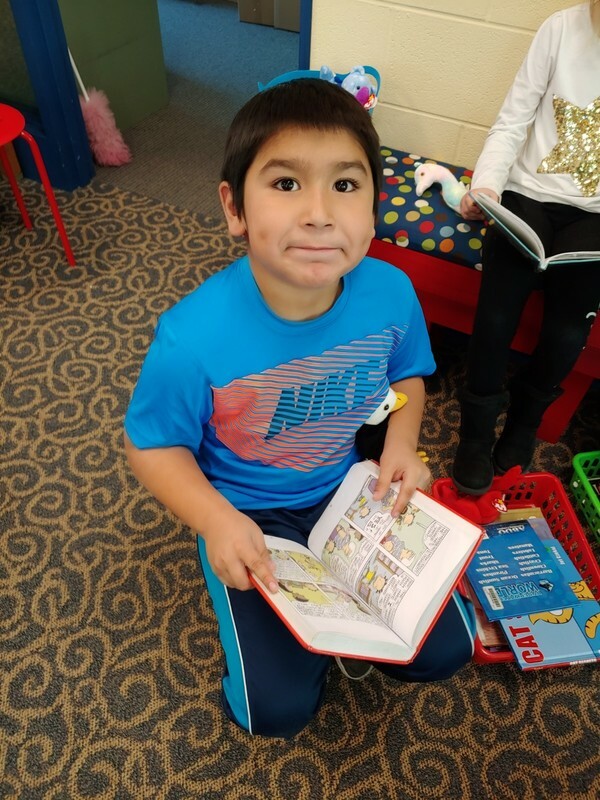 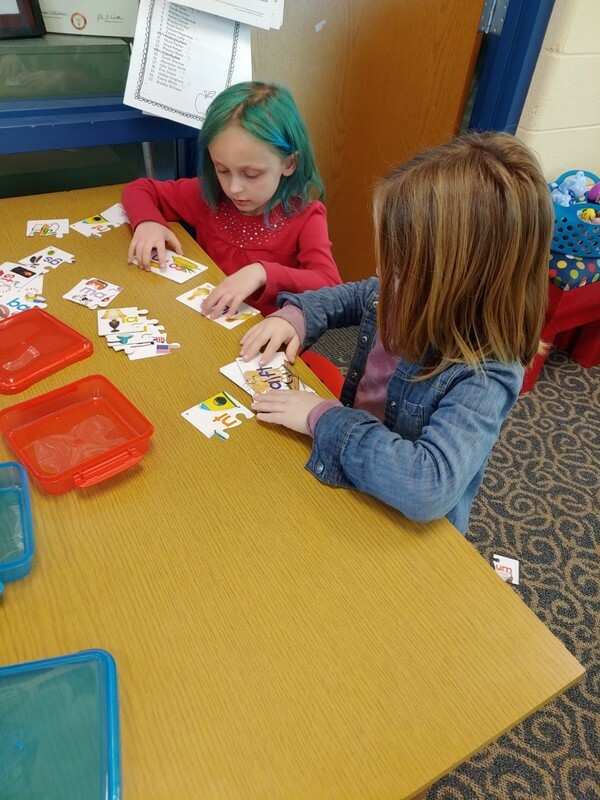 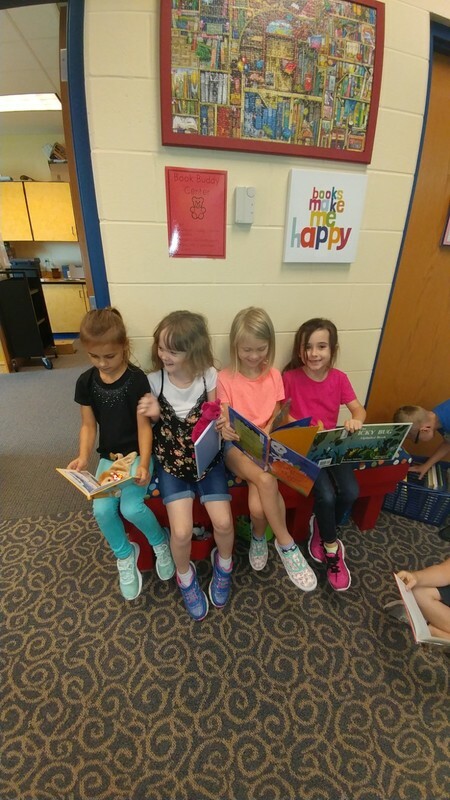 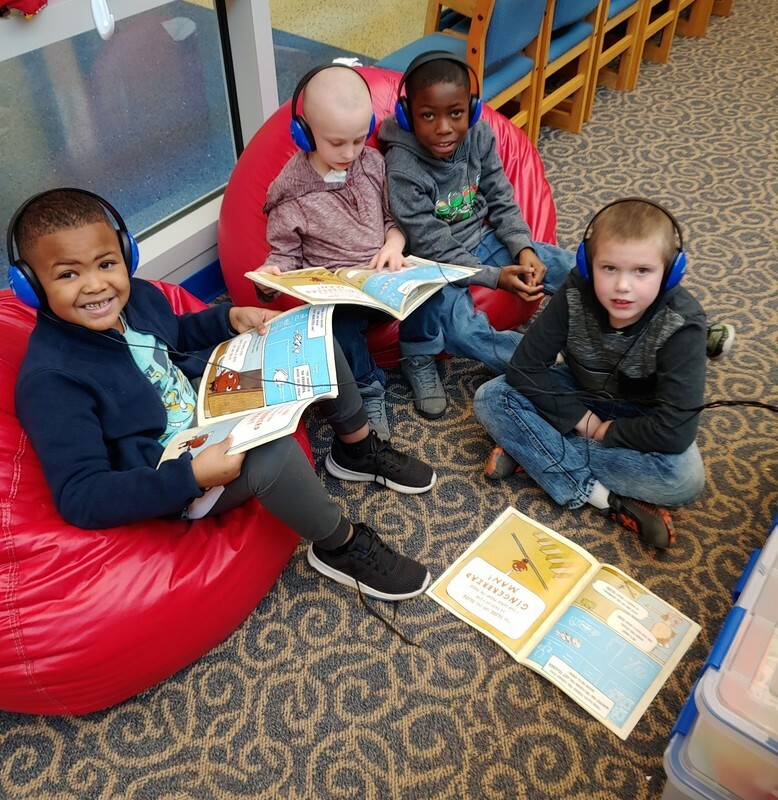 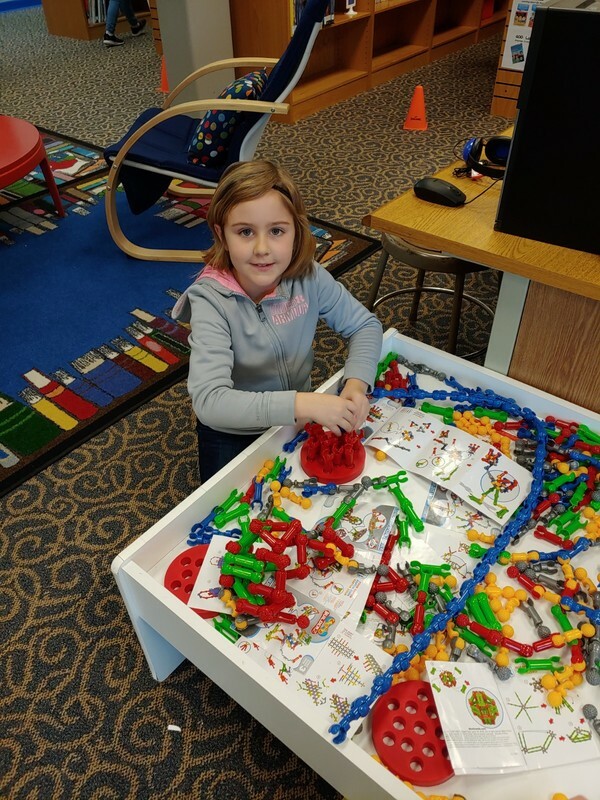 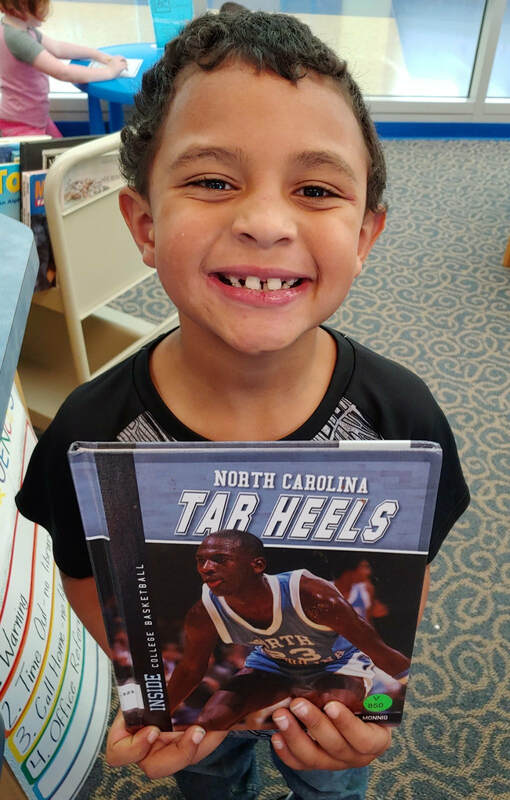 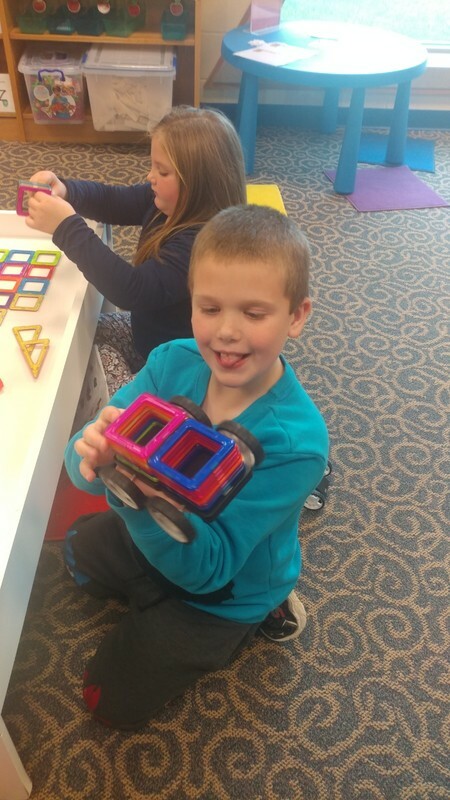 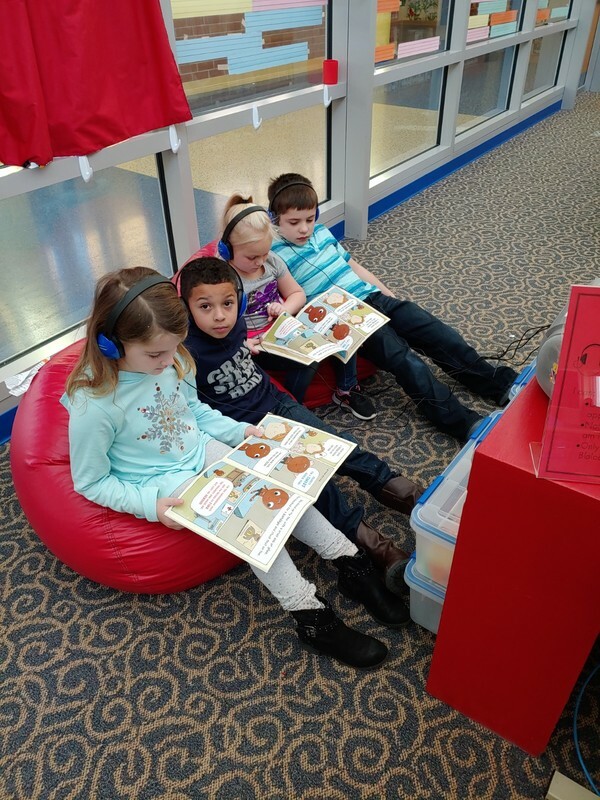 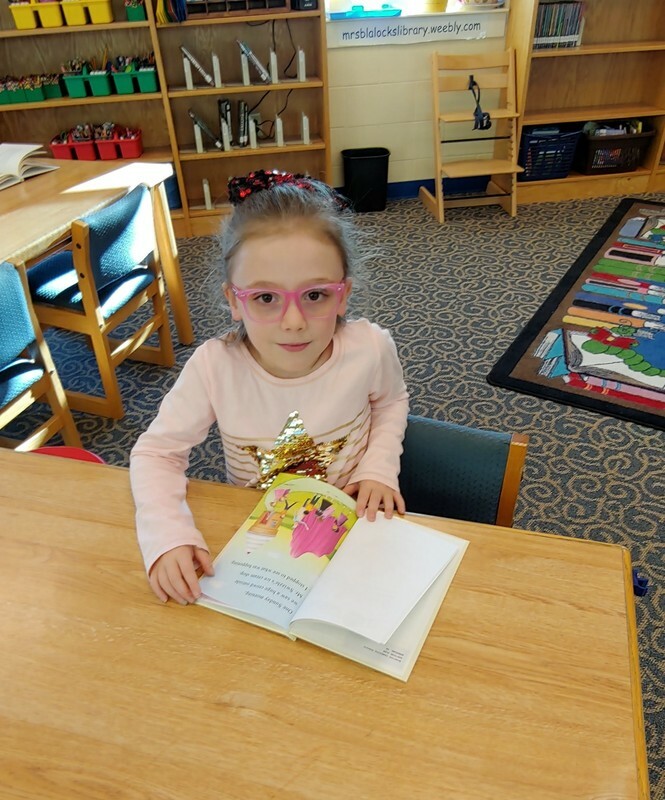 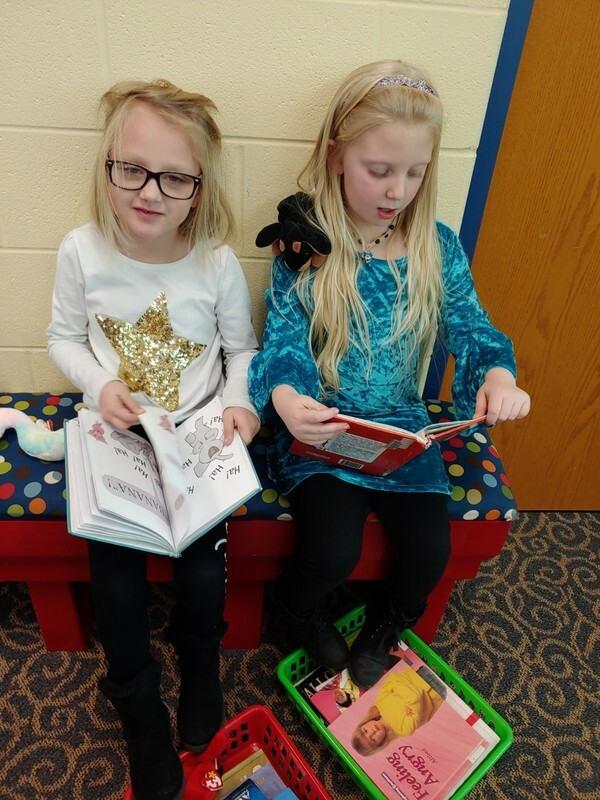 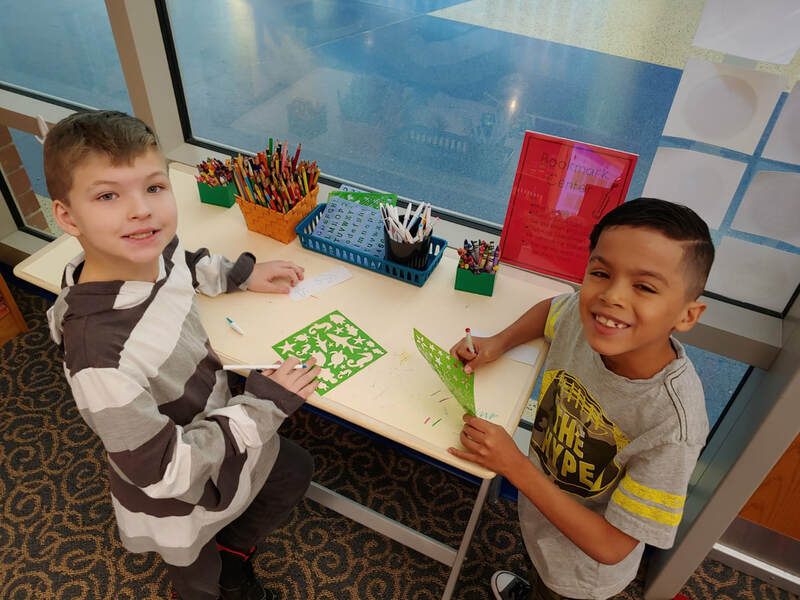 See more 2nd grade photos in the 2nd Grade Gallery below. 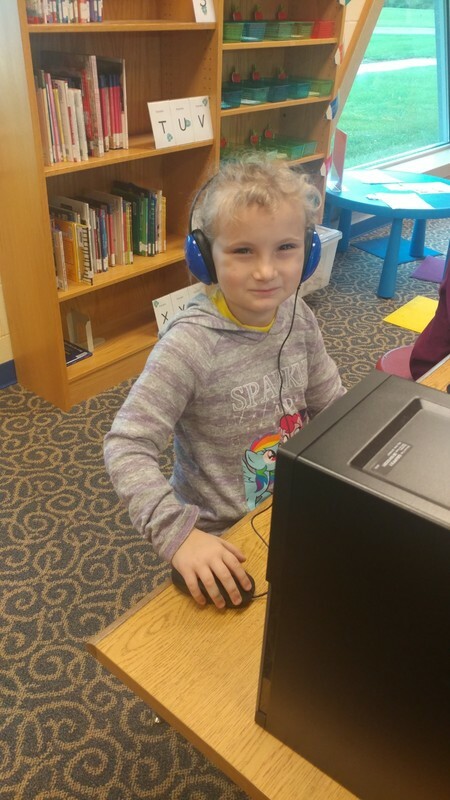 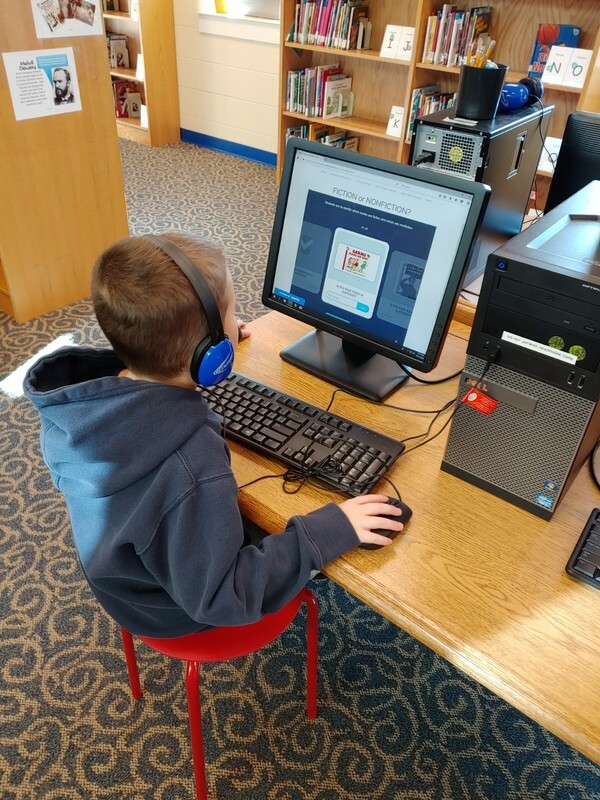 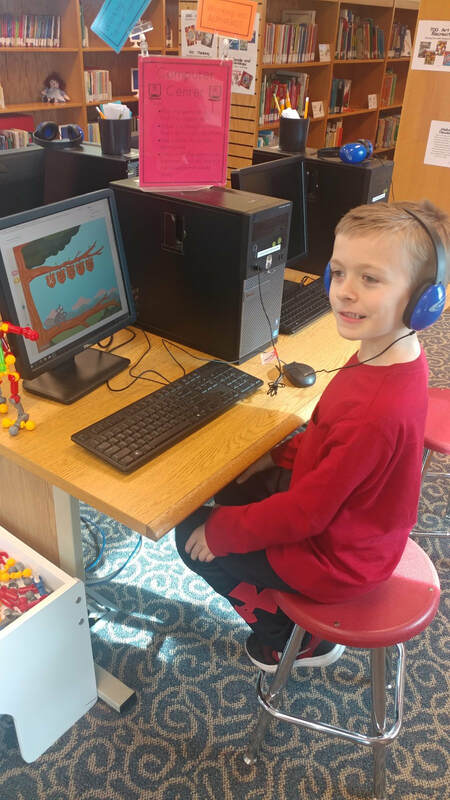 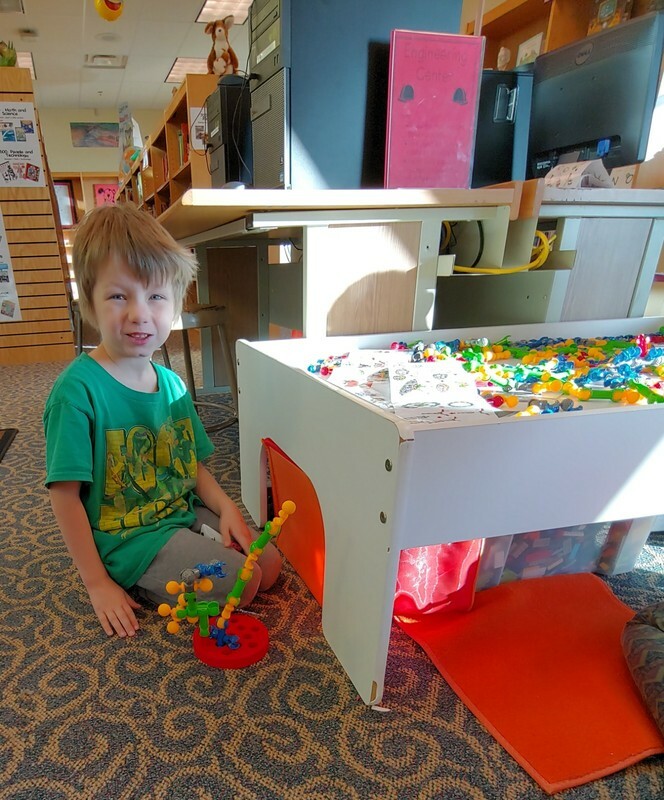 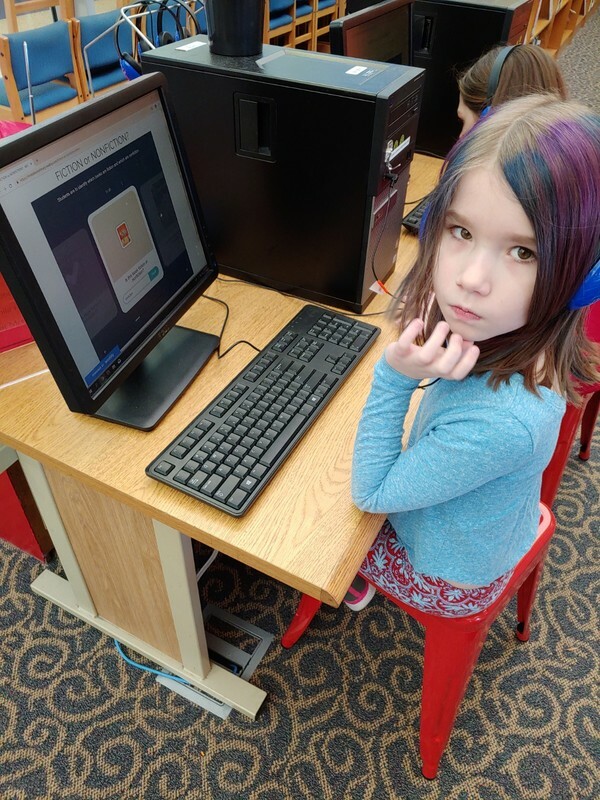 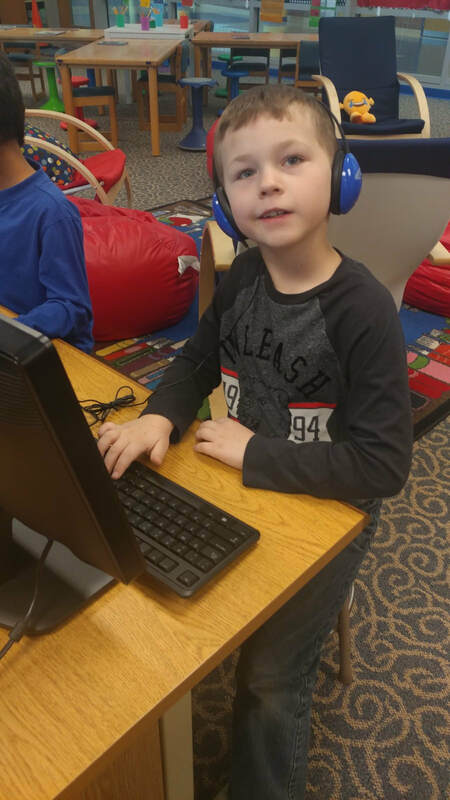 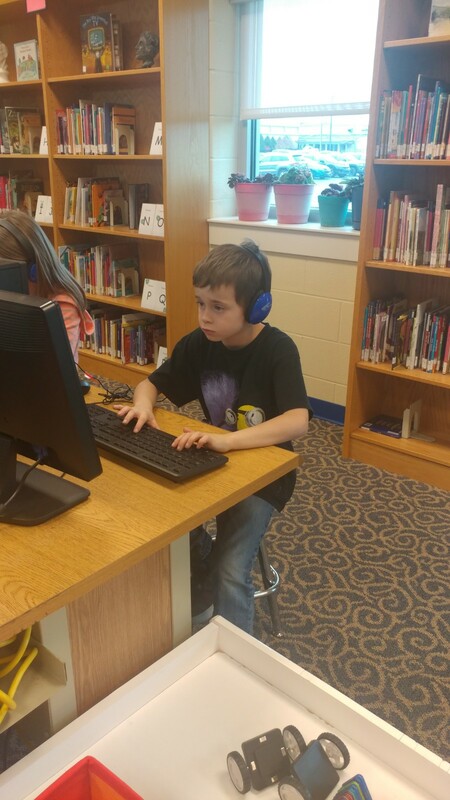 Computer Center - online games that teach various skills such as typing, alphabetical order, identifying fiction and nonfiction, etc. 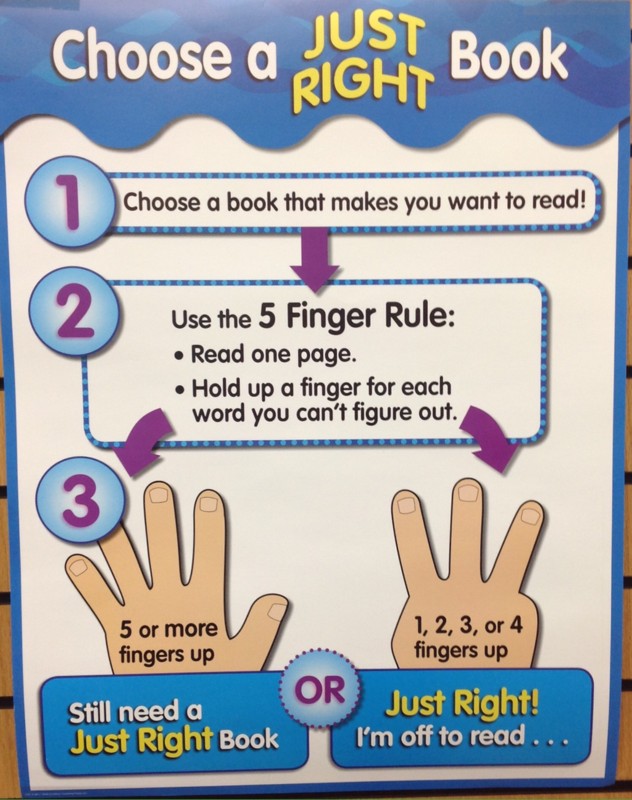 Students are taught the 5 Finger Rule. 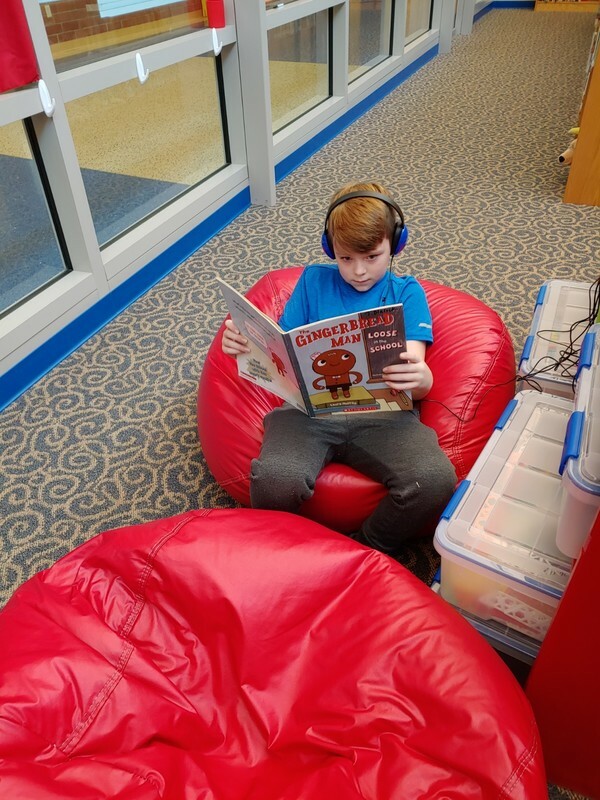 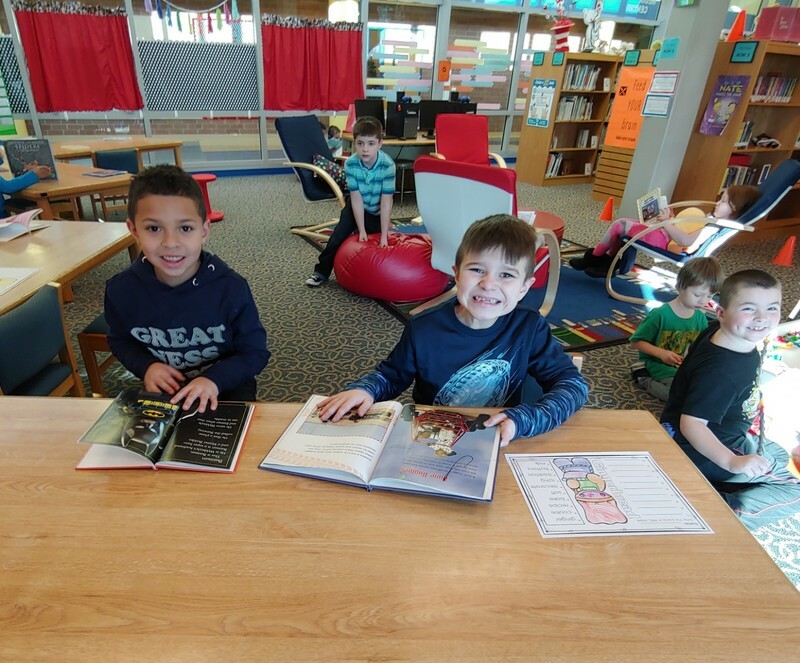 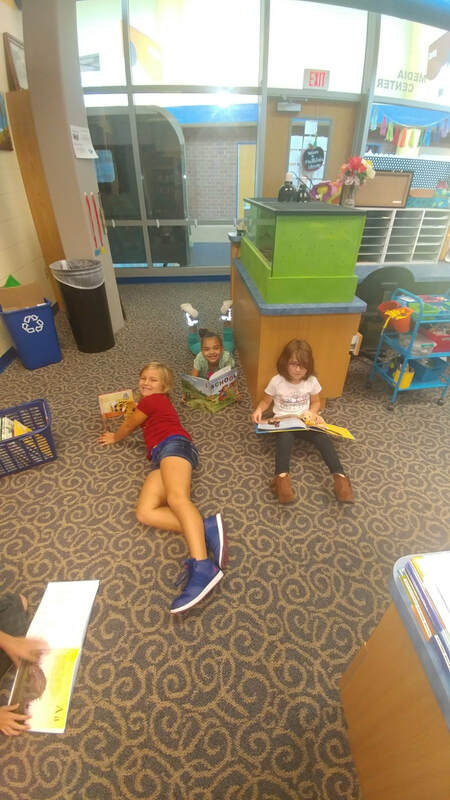 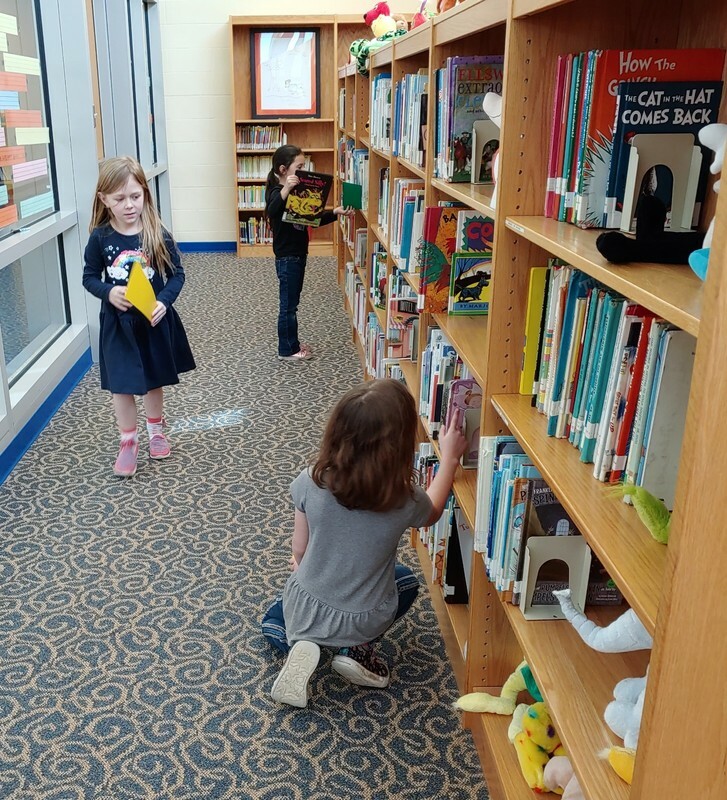 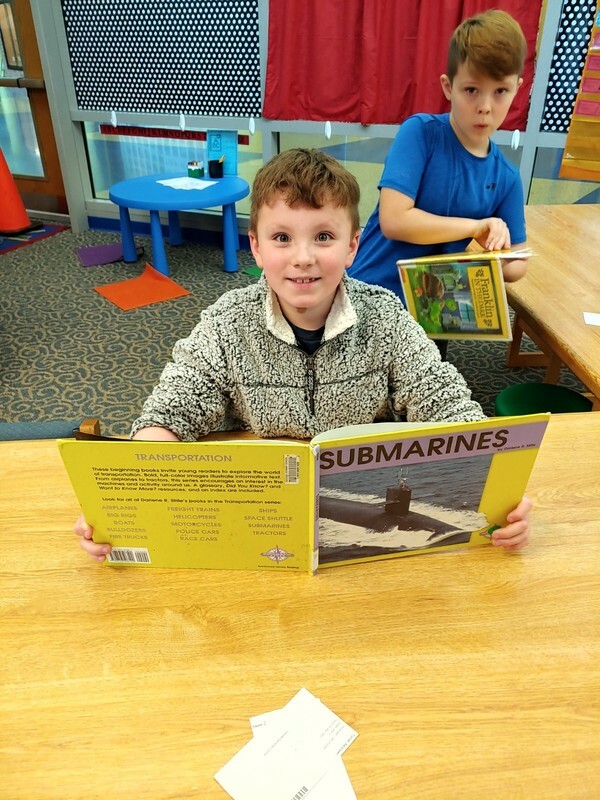 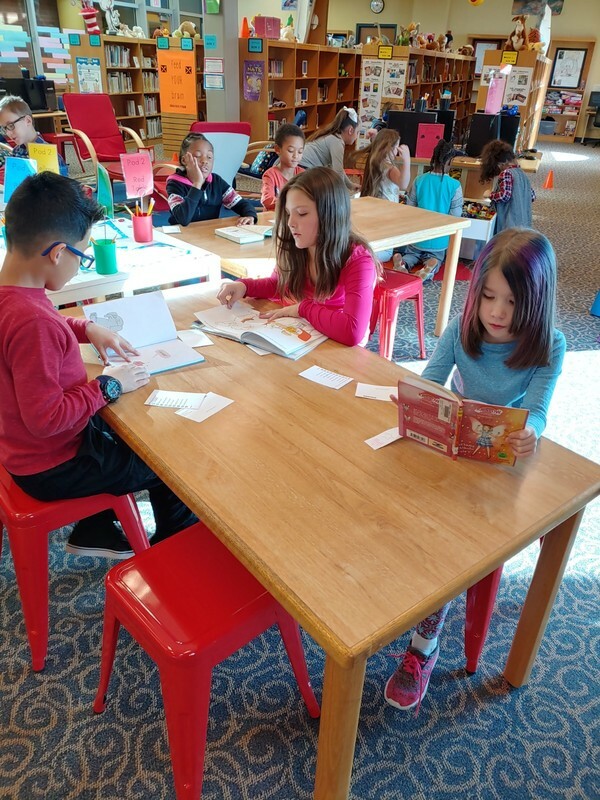 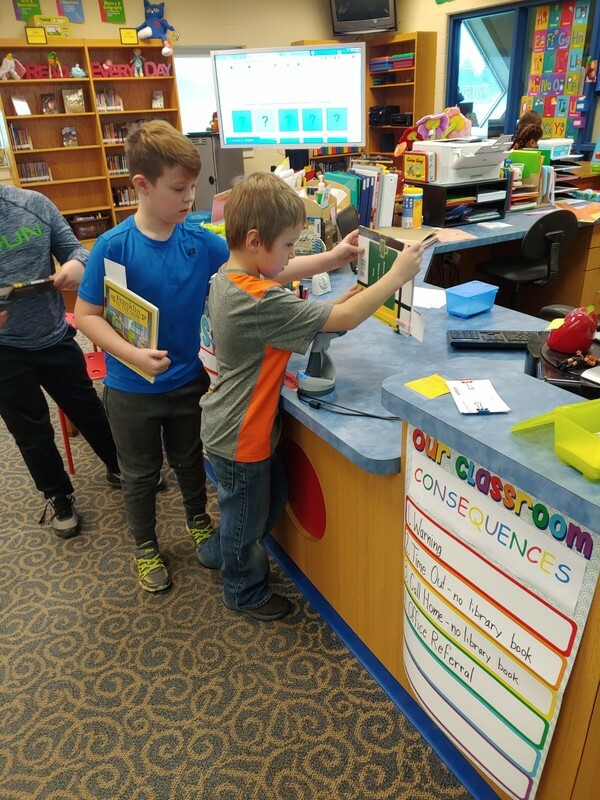 When searching for a library book, students to to read one page from the book. 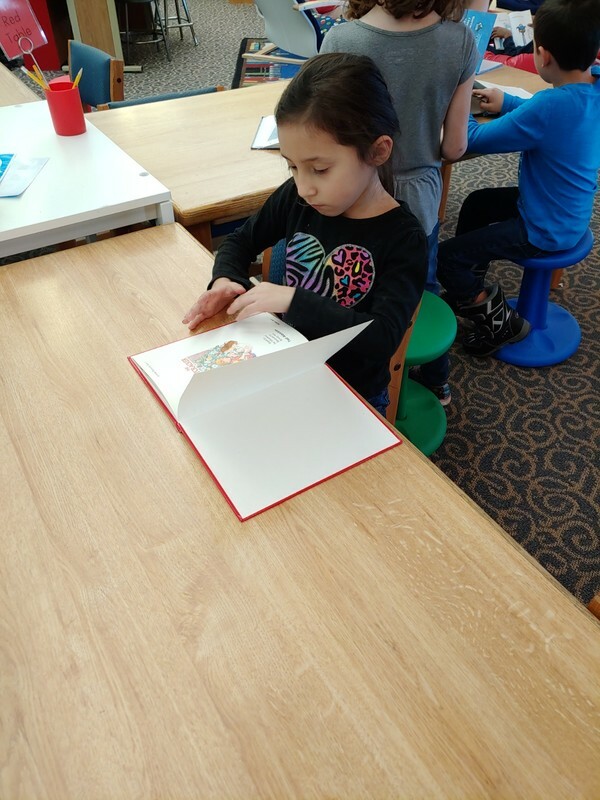 If they can not read 5 or more words on that page, the book is to hard for them. 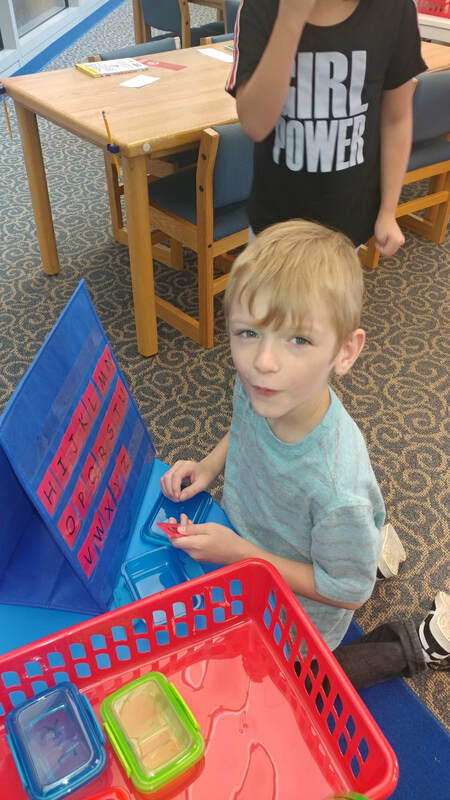 If they have difficulties with just 1, 2, 3, or 4 words on that page, they may check the book out. 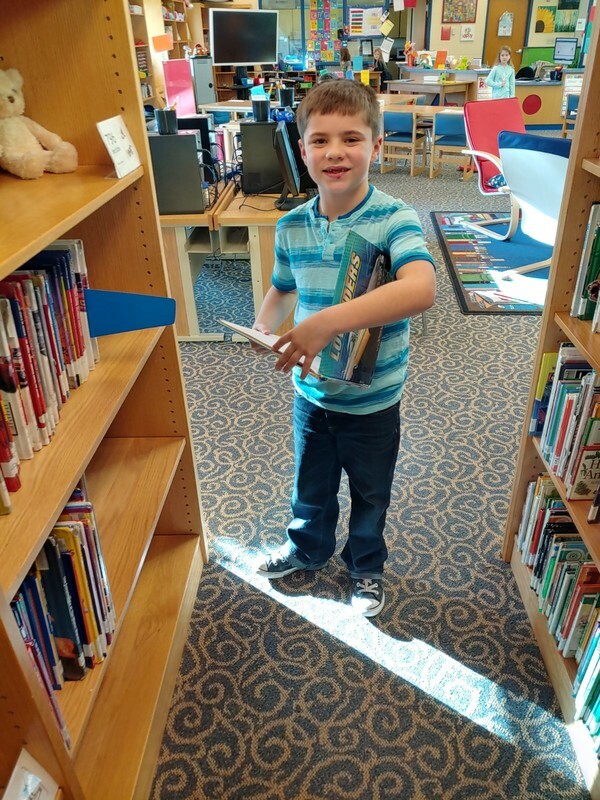 This is also a great rule to use when visiting the public library! 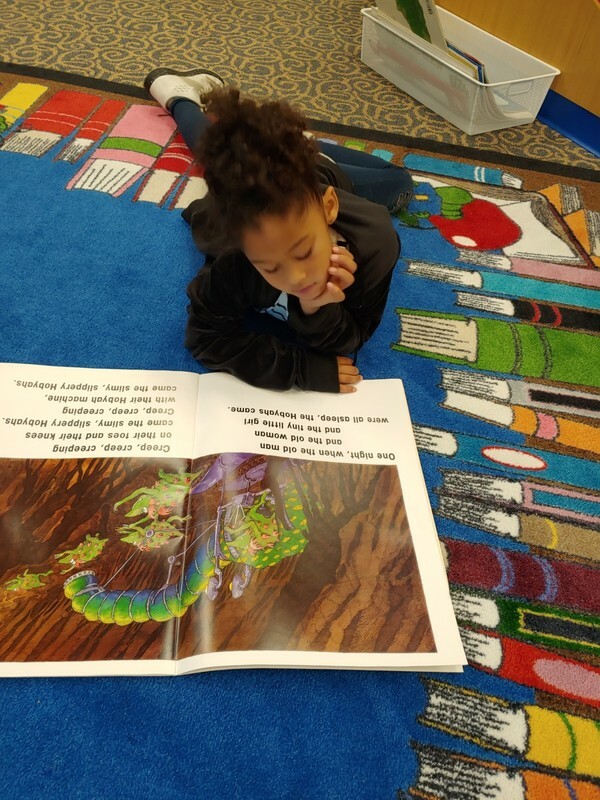 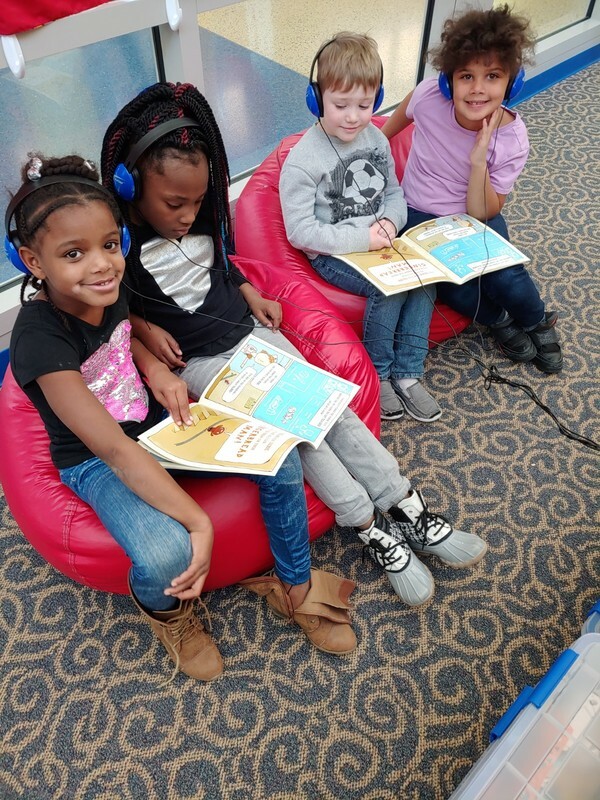 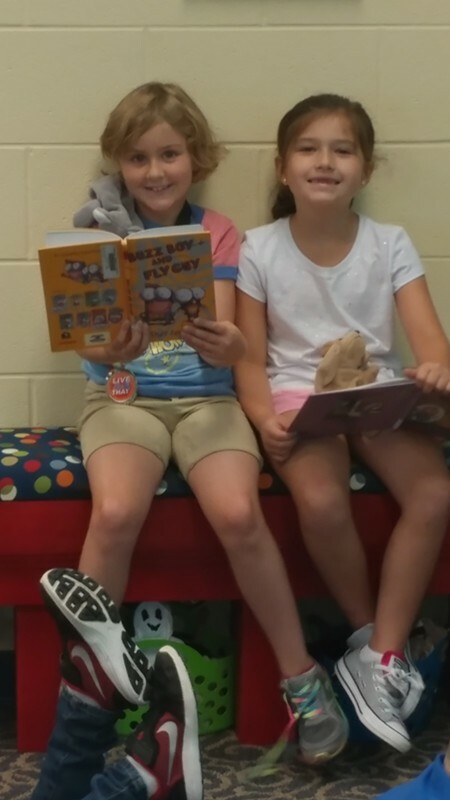 First and second grade students always start the year out learning about the parts of a book. 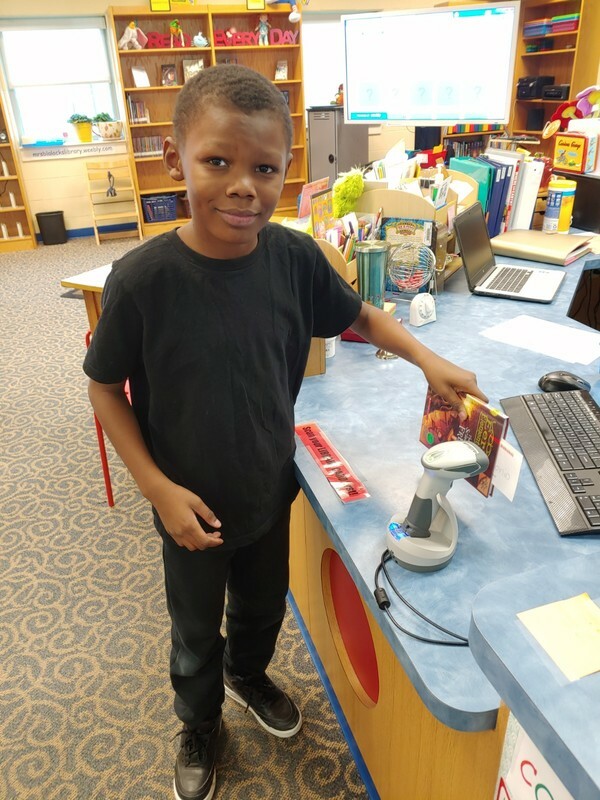 Items needed to be known and that are assessed are cover (front and back), title, author, illustrator, title page, spine, spine label, and barcode. 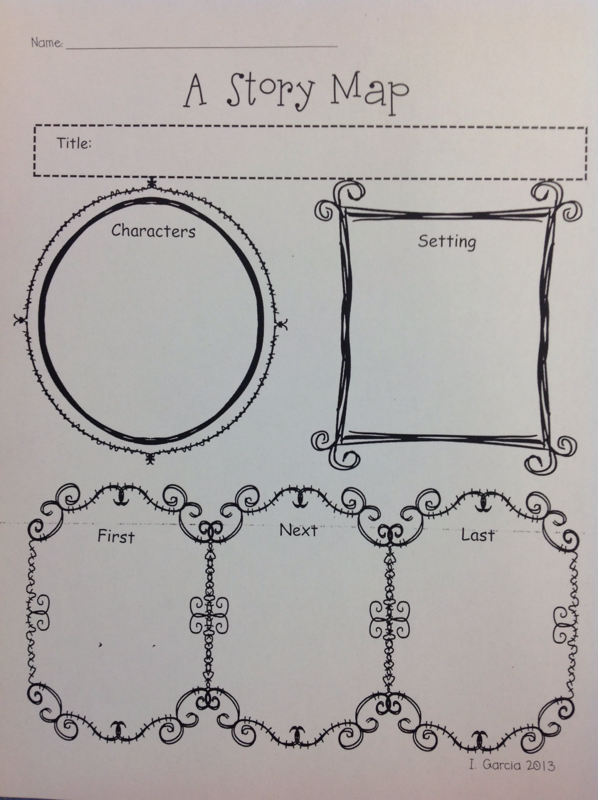 It would be great practice if parents would ask their child to identify these parts either before or after reading with their child. 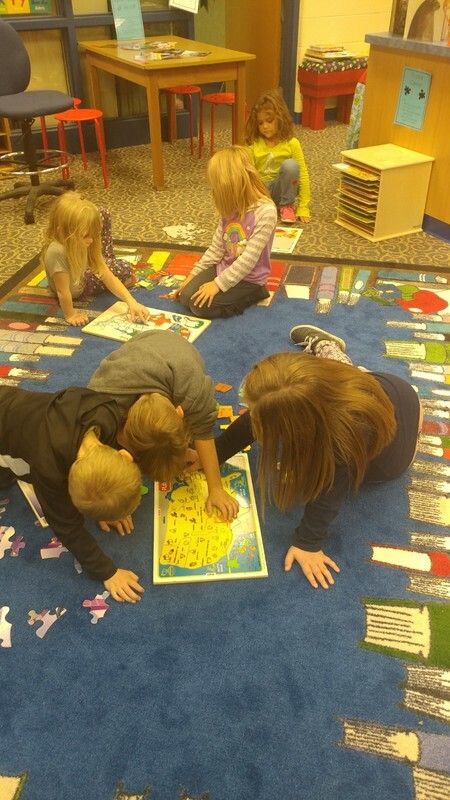 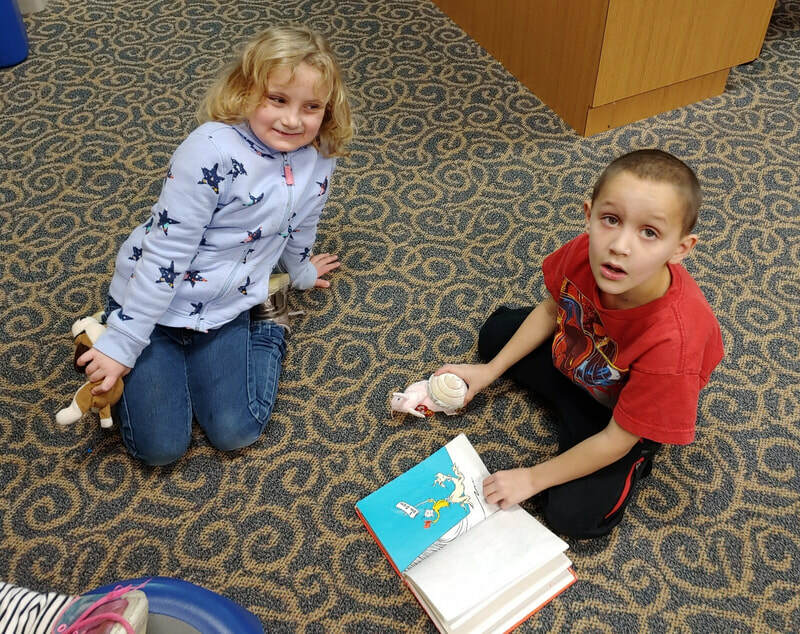 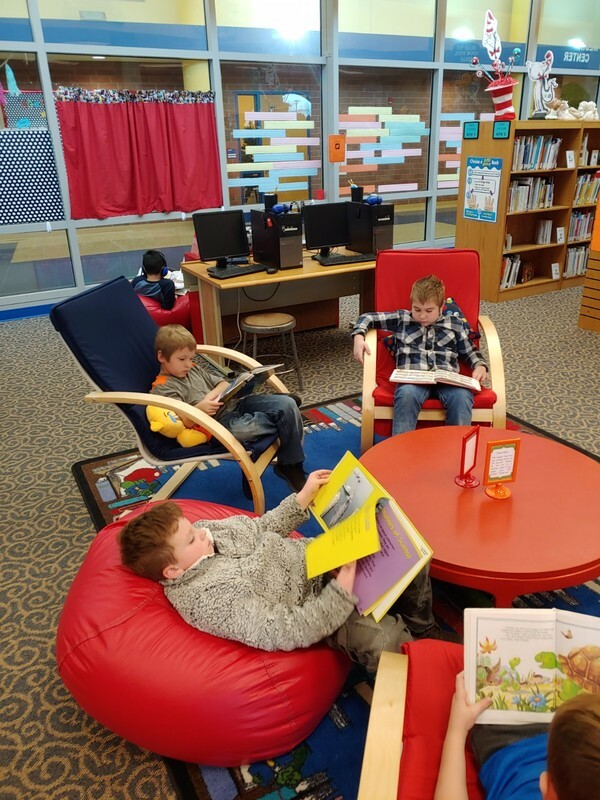 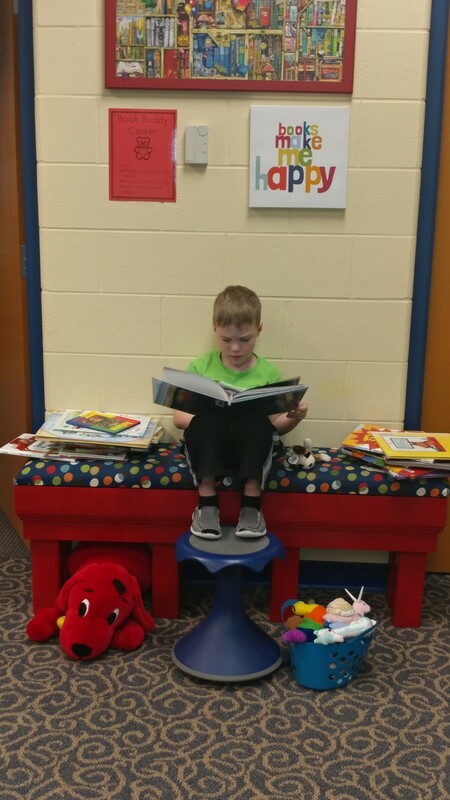 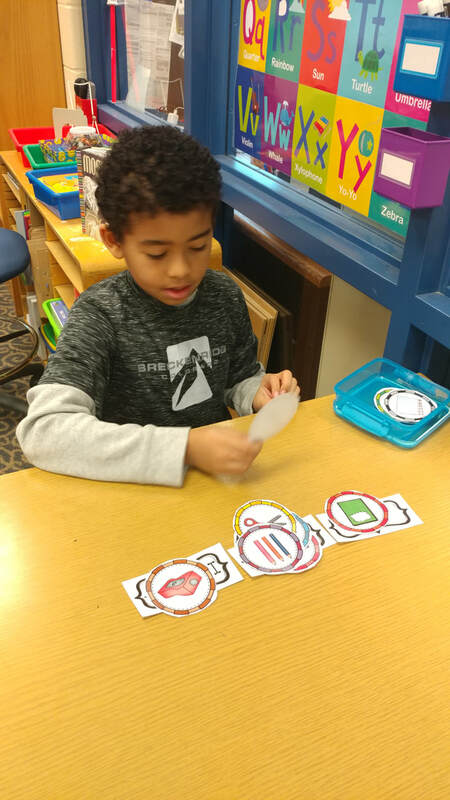 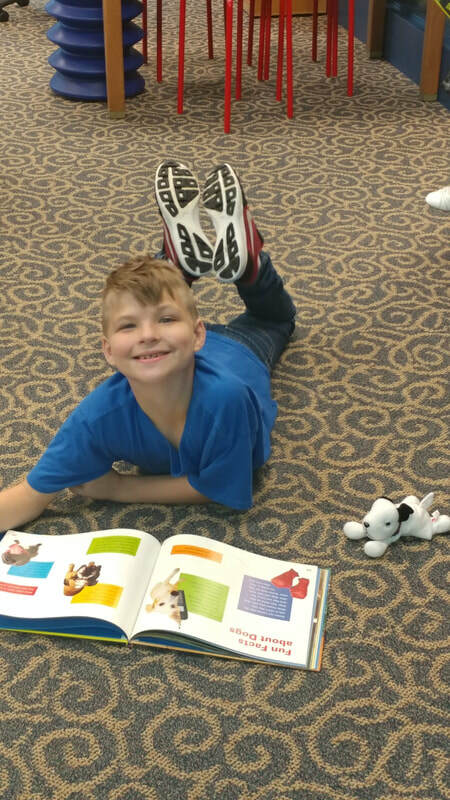 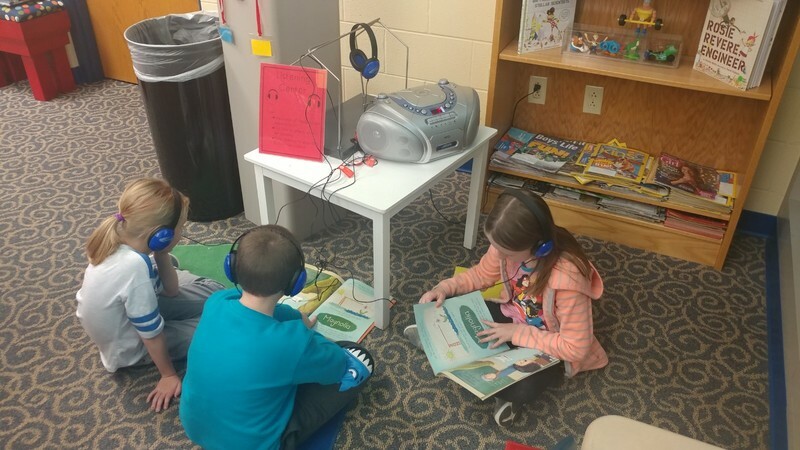 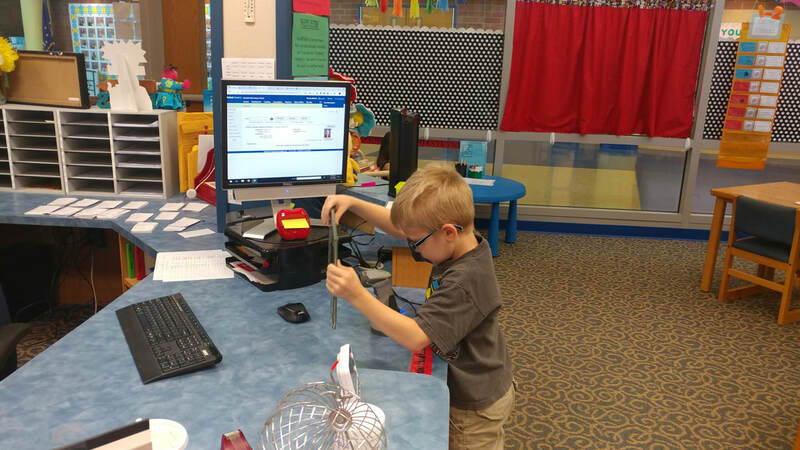 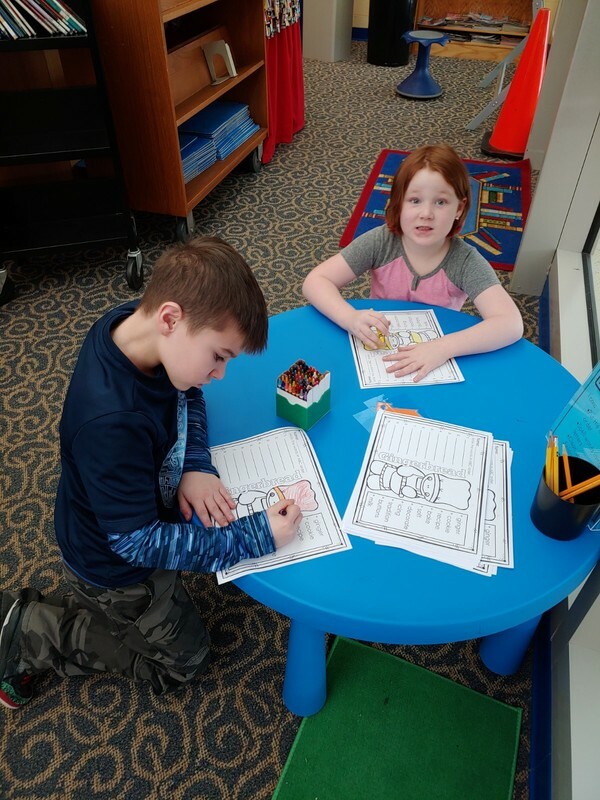 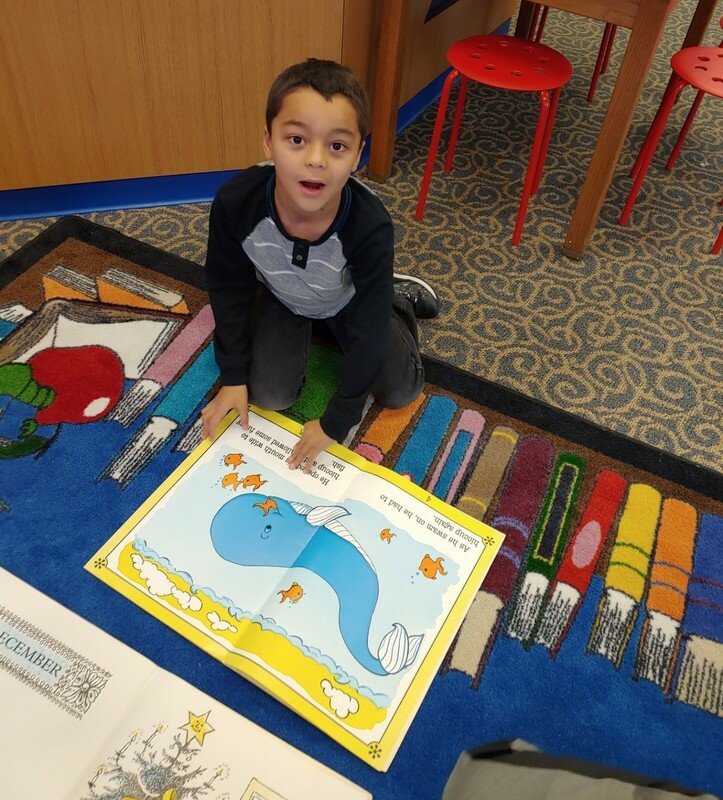 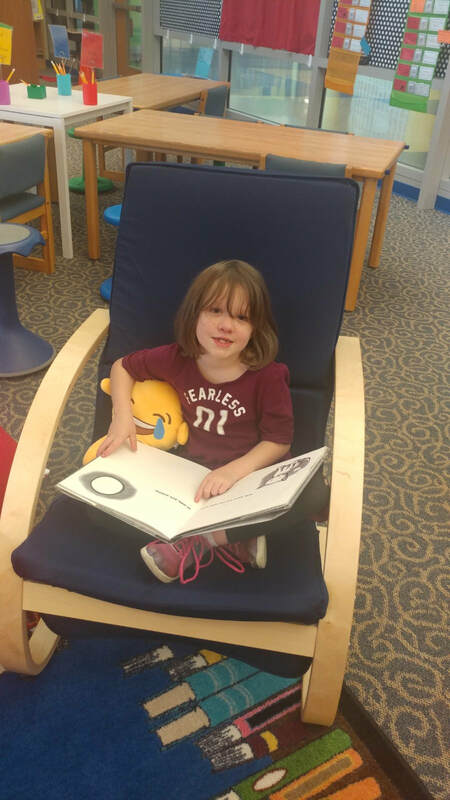 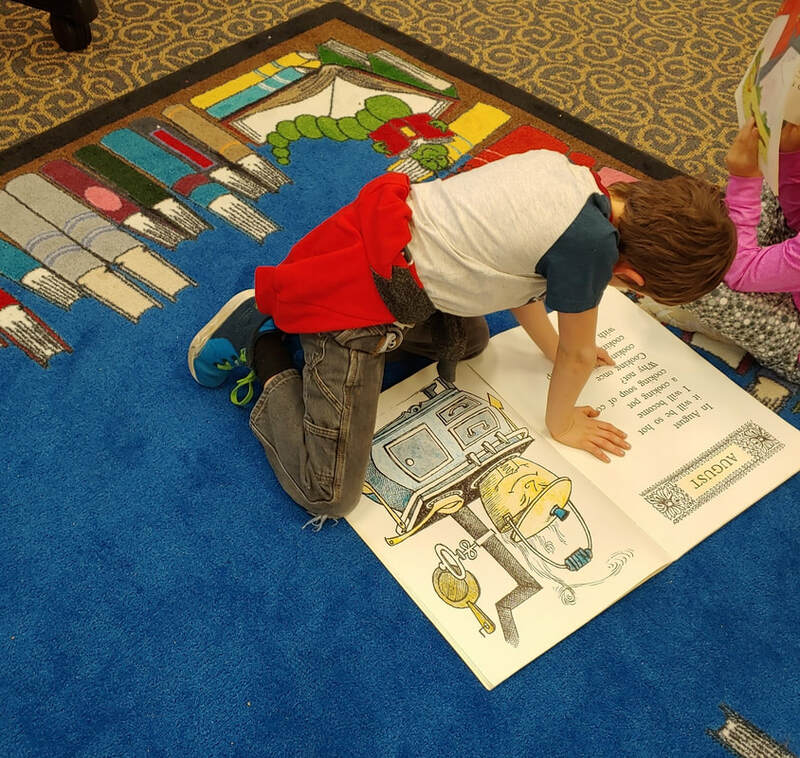 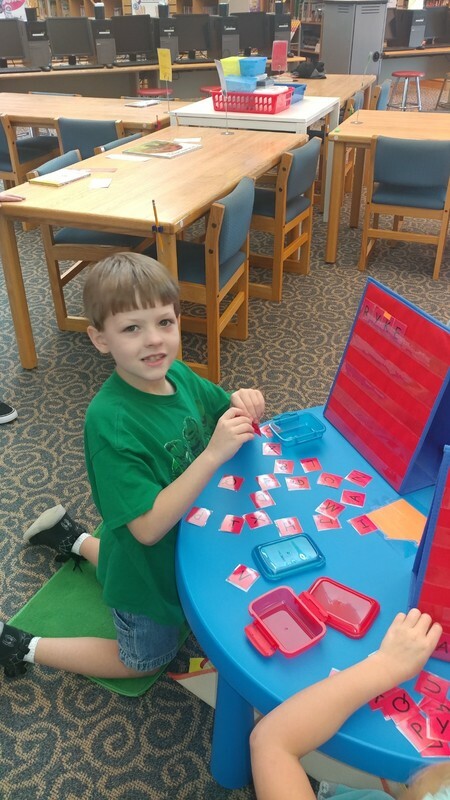 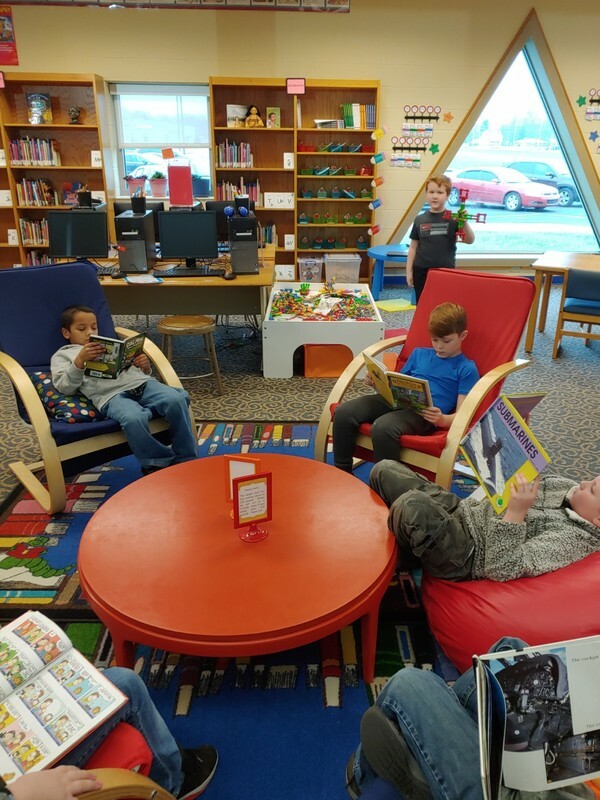 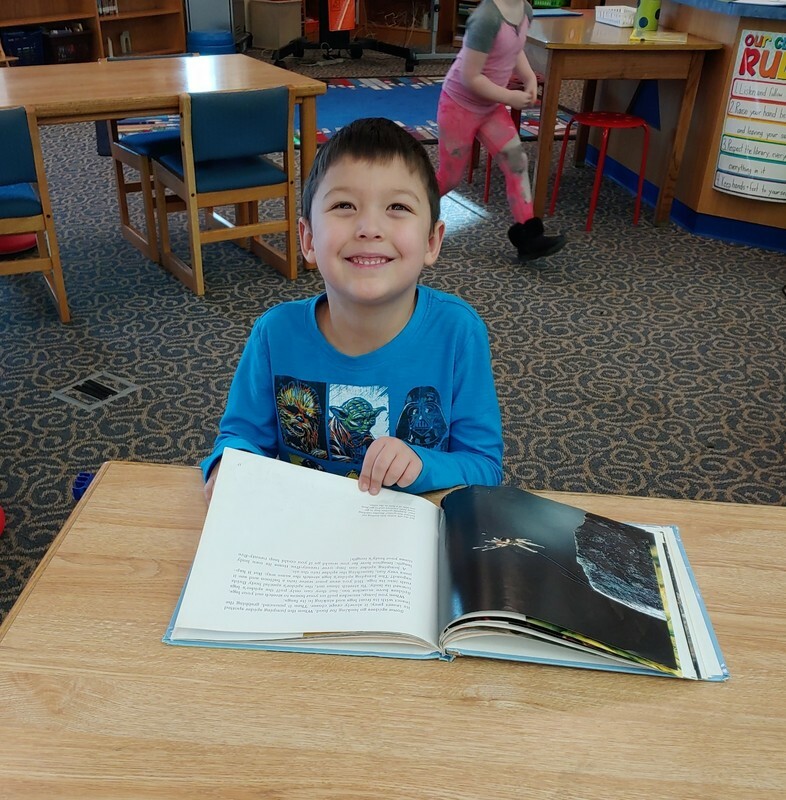 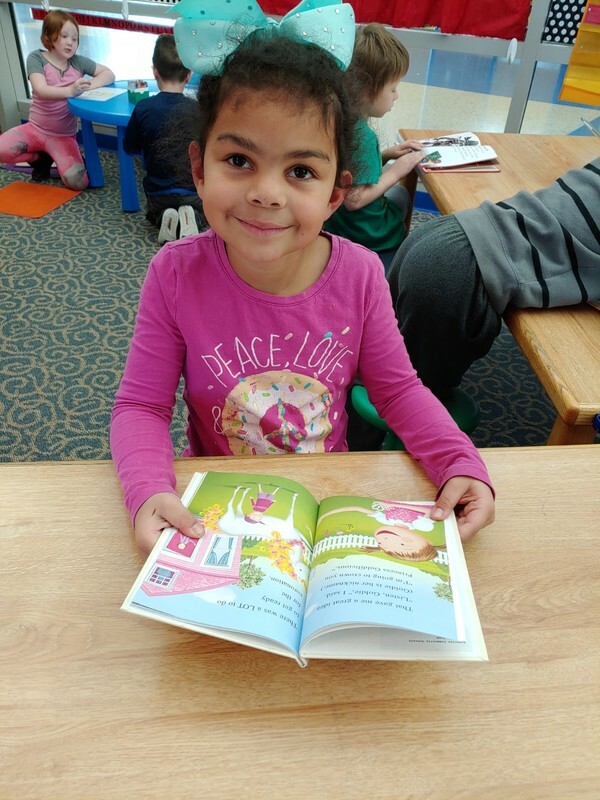 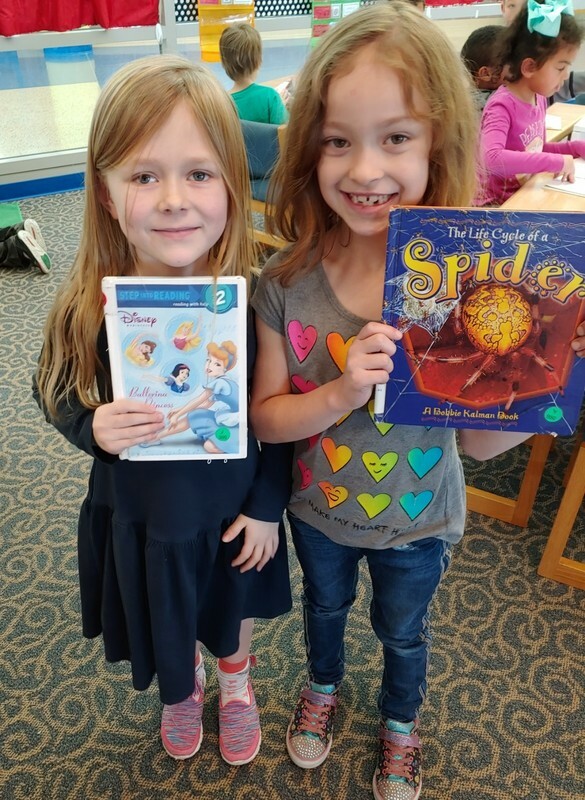 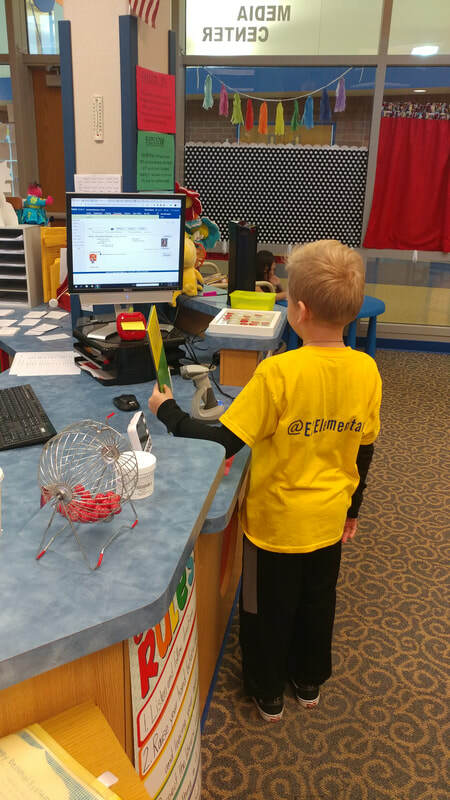 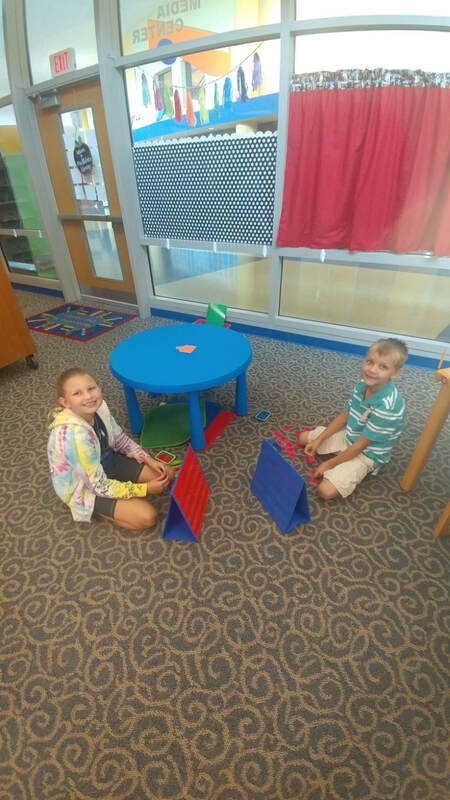 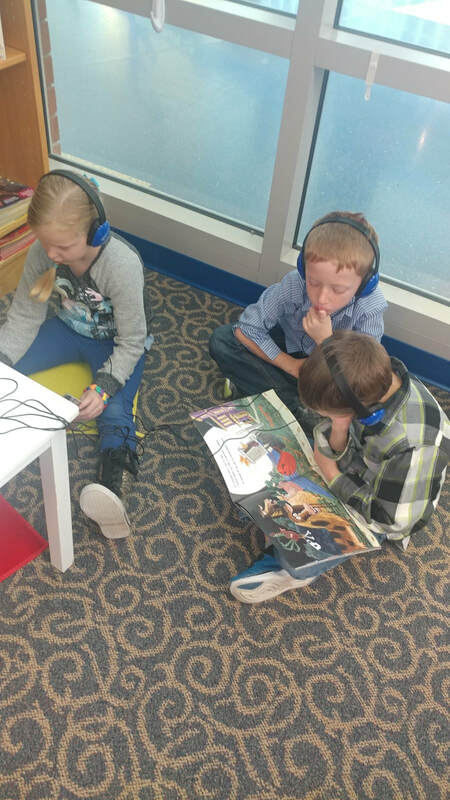 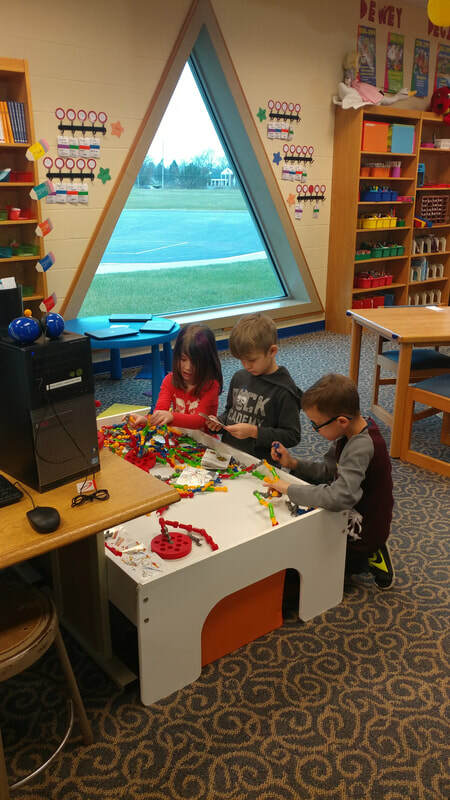 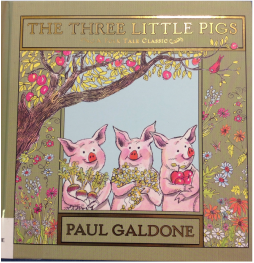 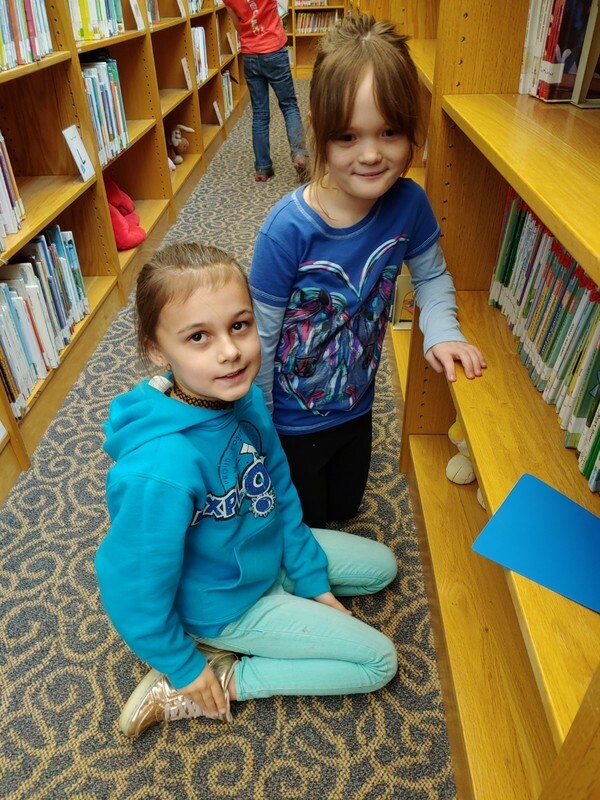 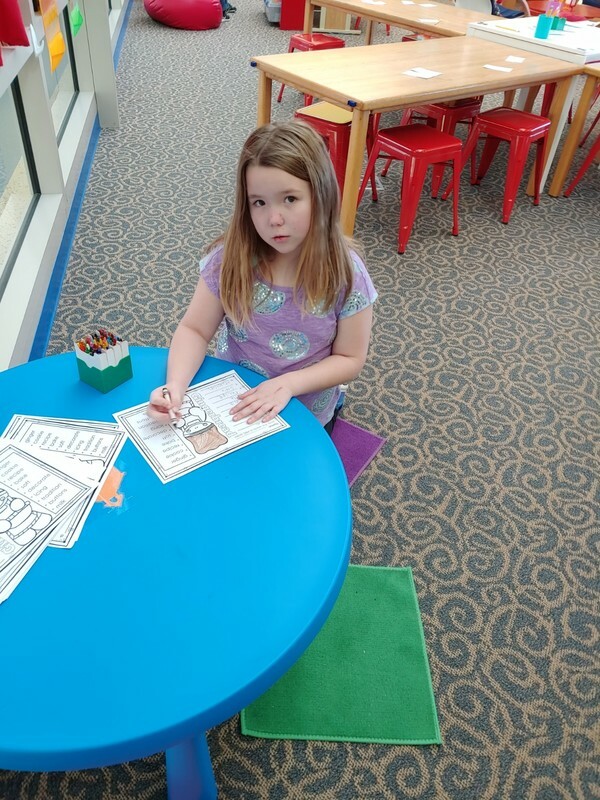 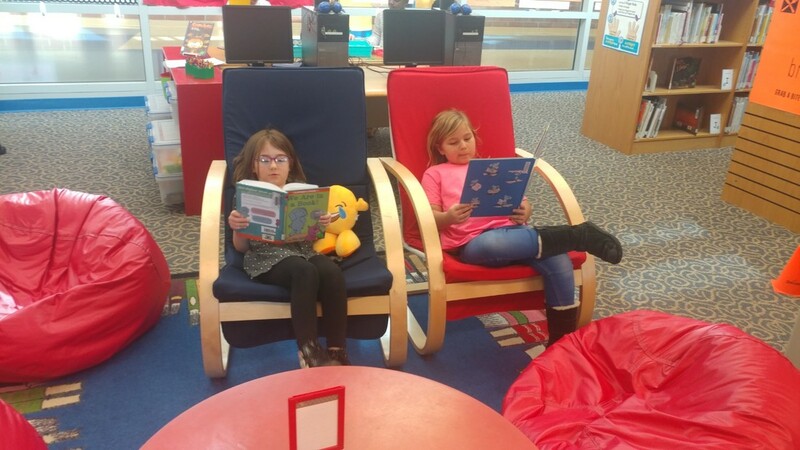 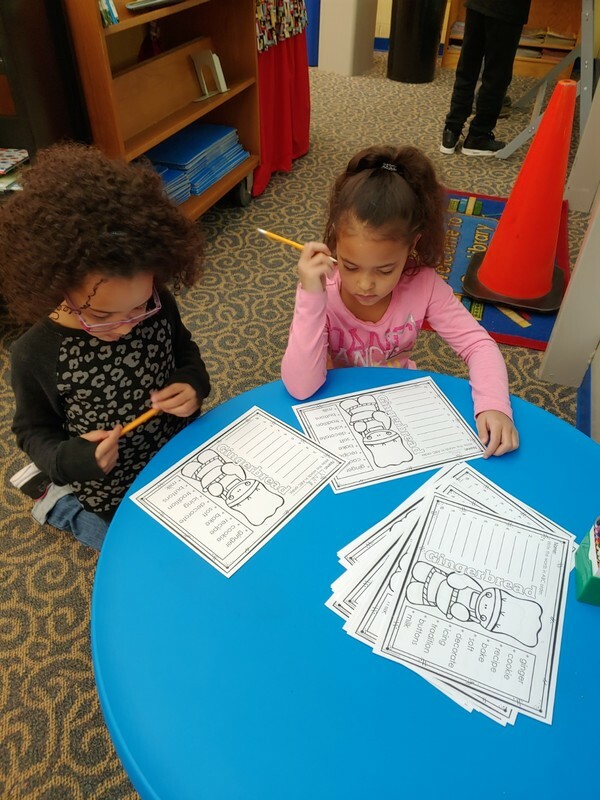 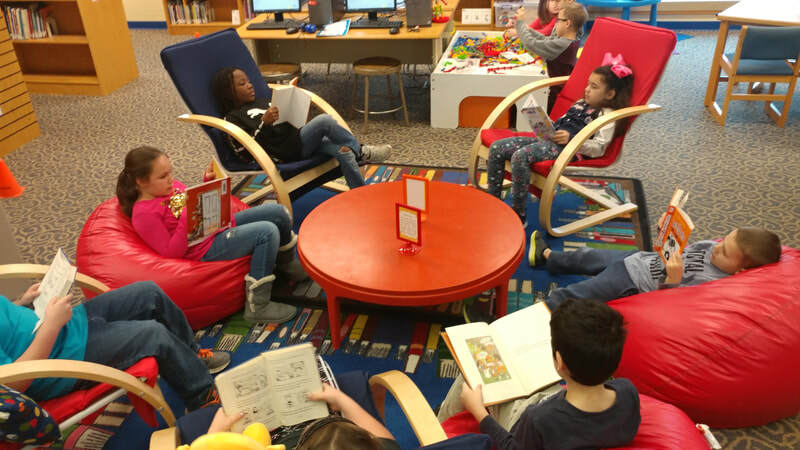 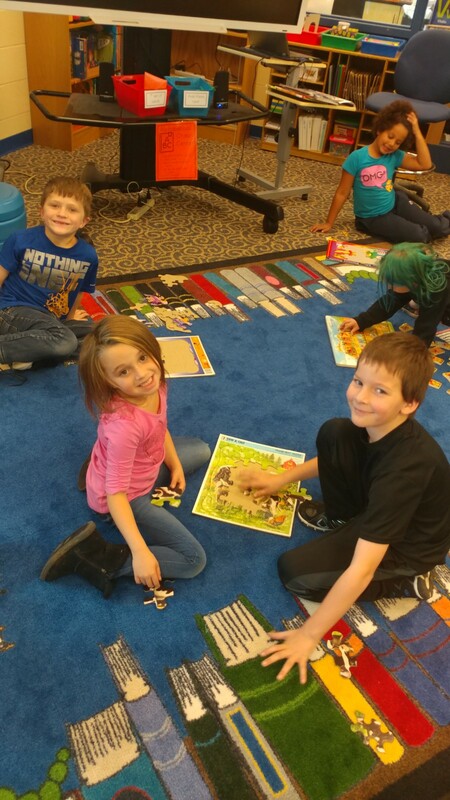 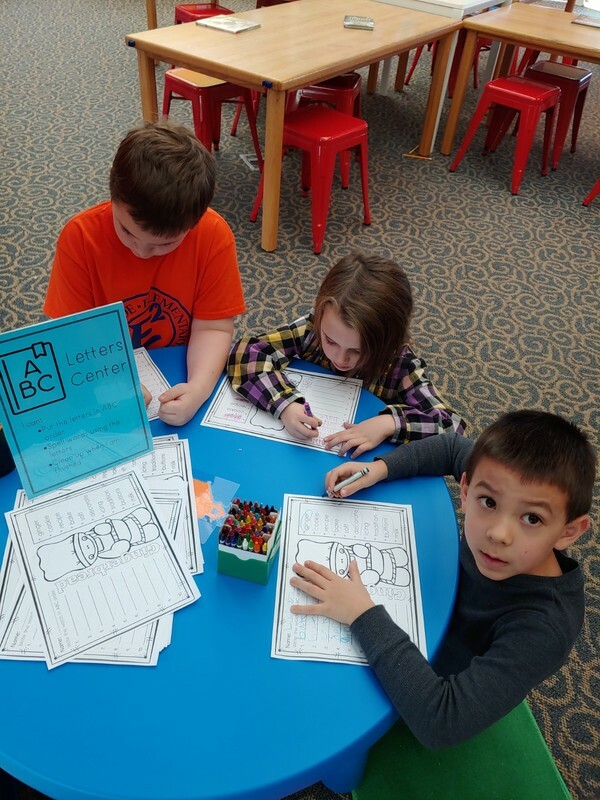 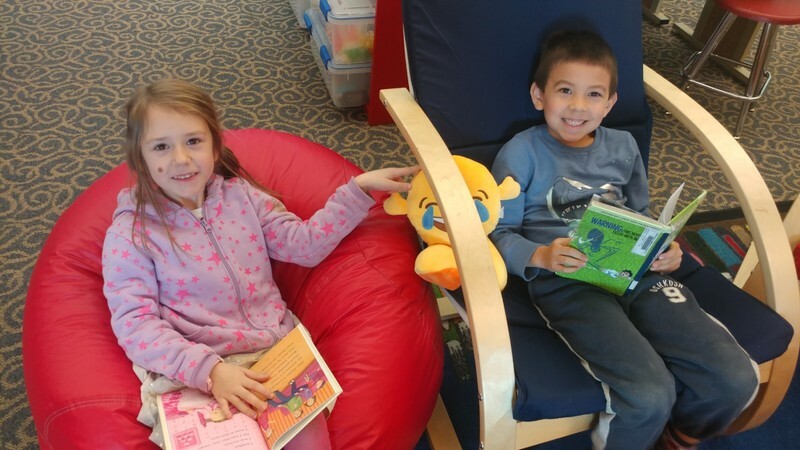 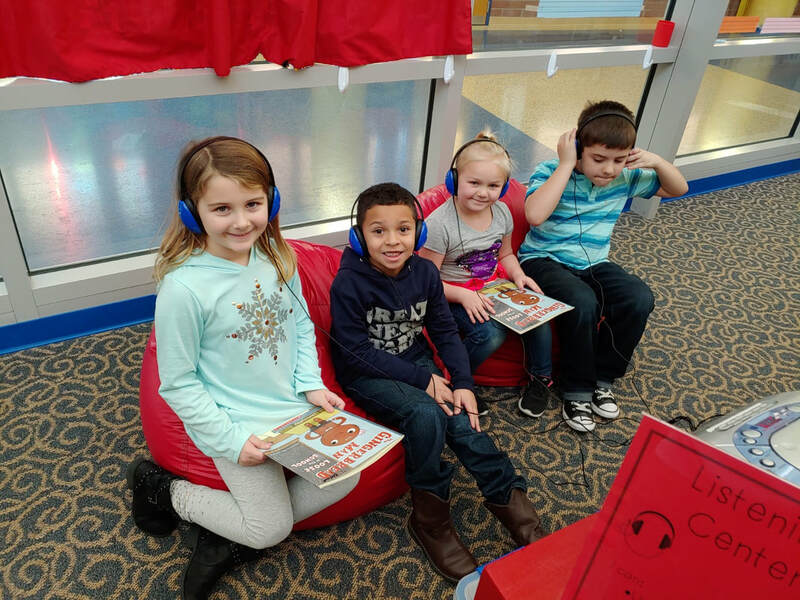 Students in both 1st and 2nd grades have been learning about story elements in library for the past couple of weeks. 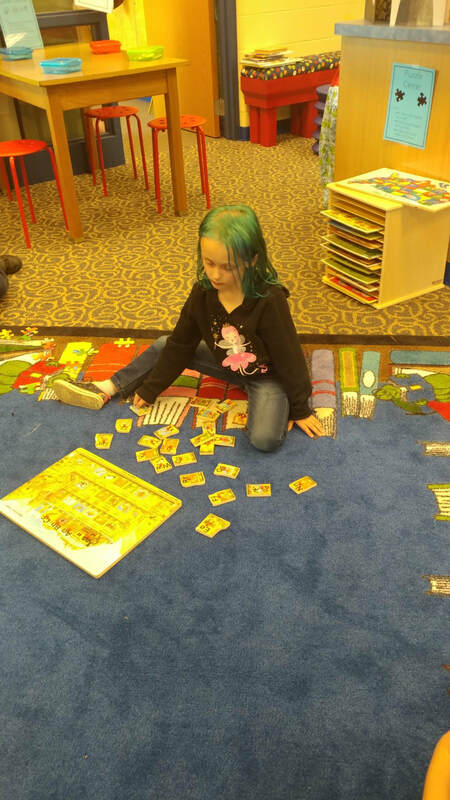 Story elements would be considered the characters, setting, and plot of the story. 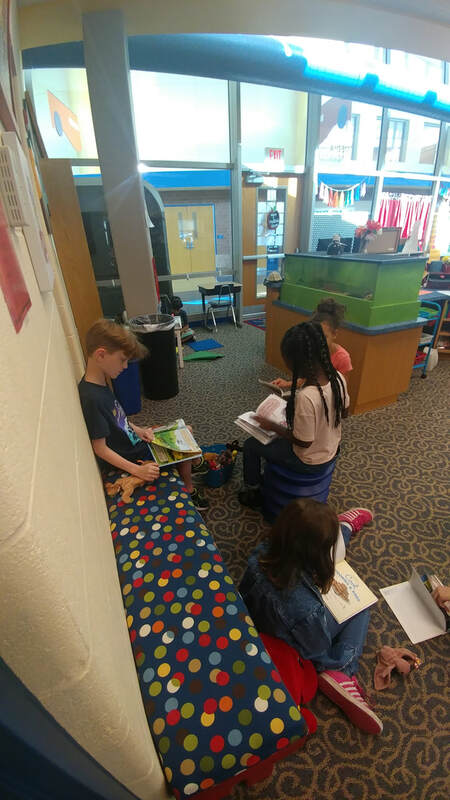 The plot is often broken down to a "problem" and "solution". 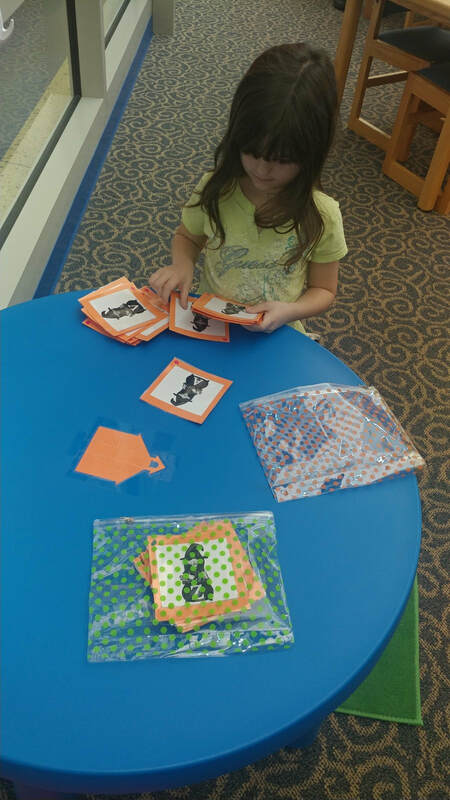 We have also been working on sequencing and distinguishing what happened first, next, and last in a story.